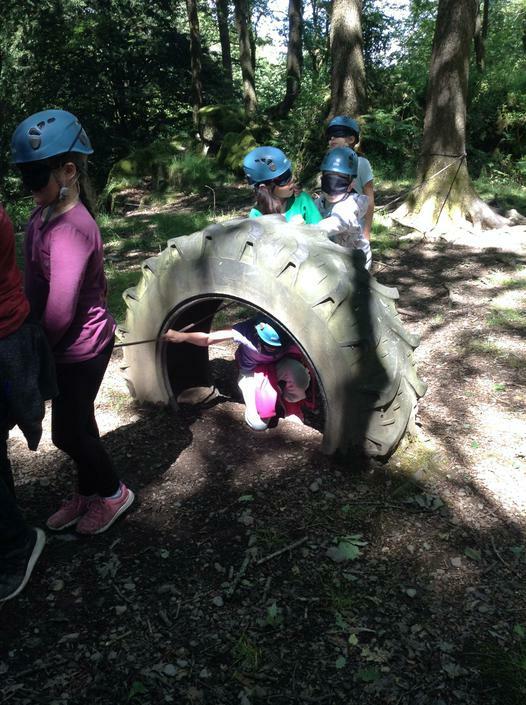 Recently, our class were invited to take part in an inter-schools' Athletics and Multi-skills Festival at Millom School. 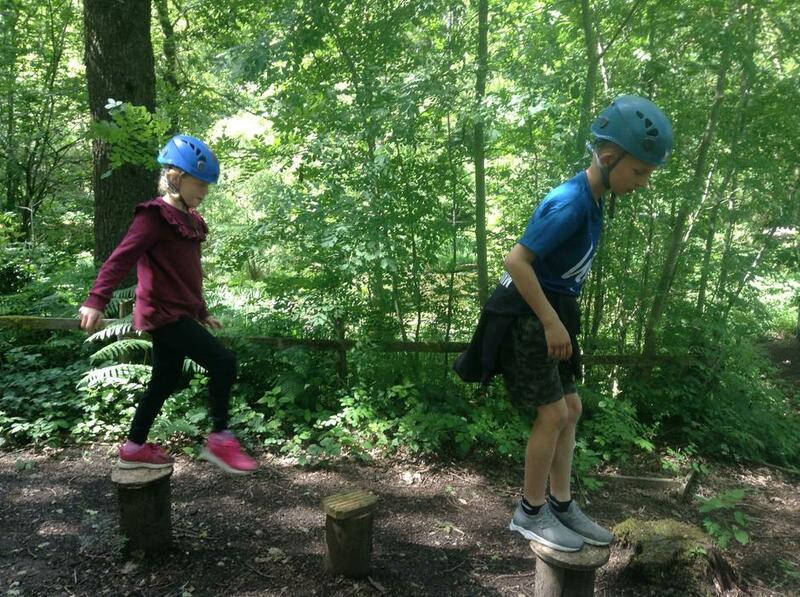 We had a great time participating in a number of throwing, jumping, balancing and running activities, and were very proud to have finished joint second! 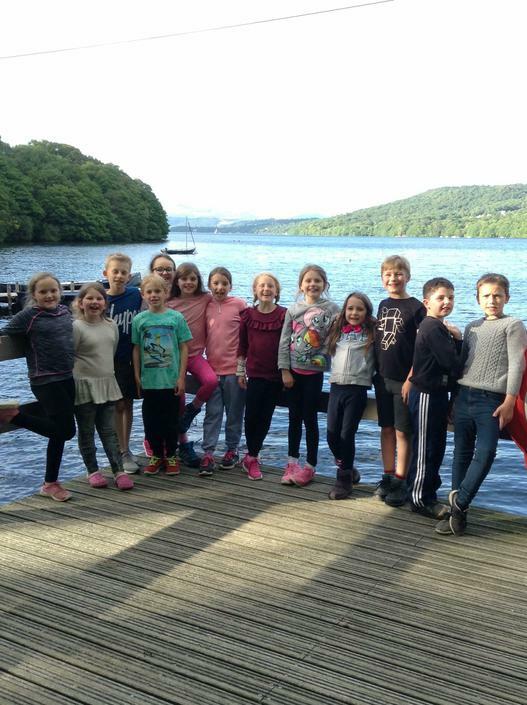 We loved making new friends from other local schools and are looking forward to more festivals and competitions next year. 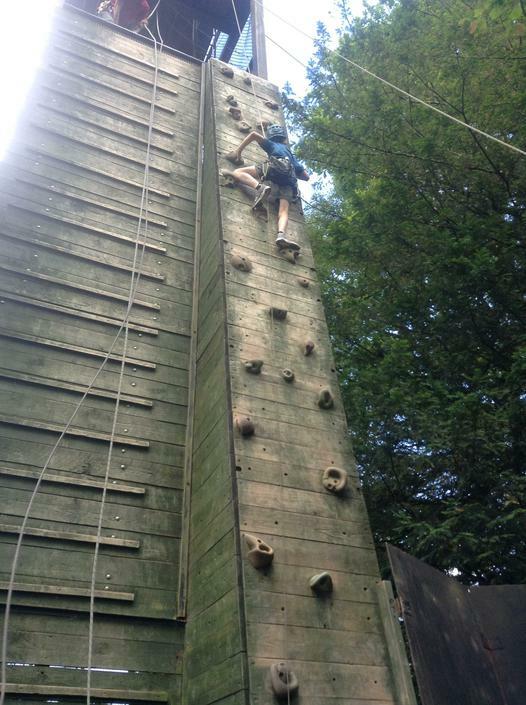 Many thanks to Rob and Millom School for organising the event ~ it was fab! 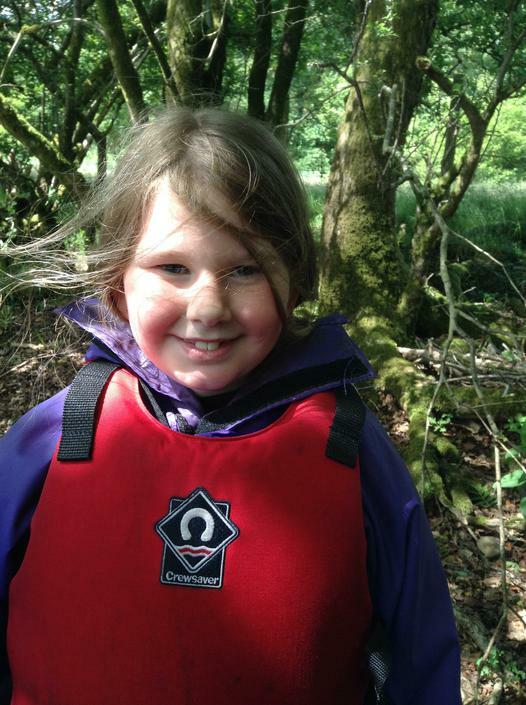 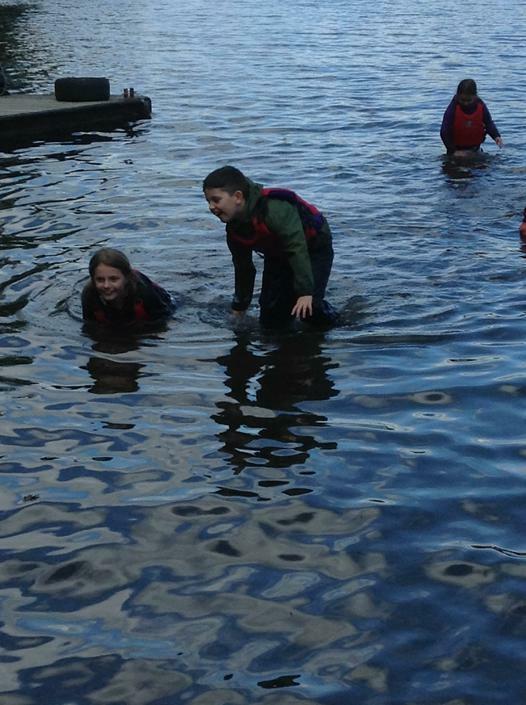 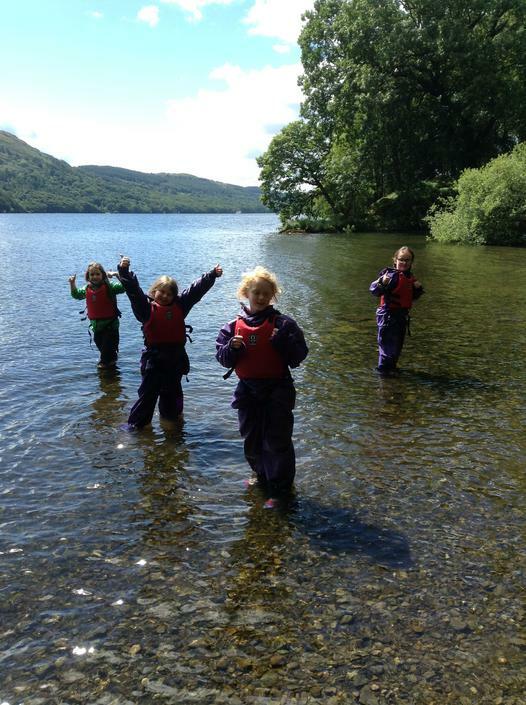 We have had the most fantastic time at Lakeside! 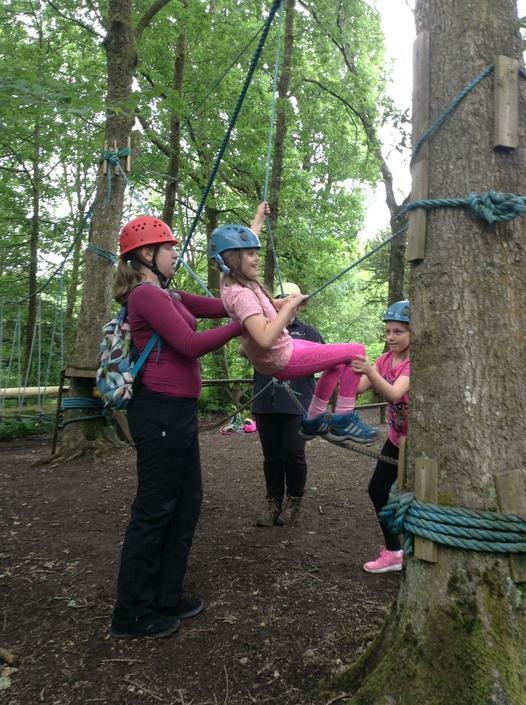 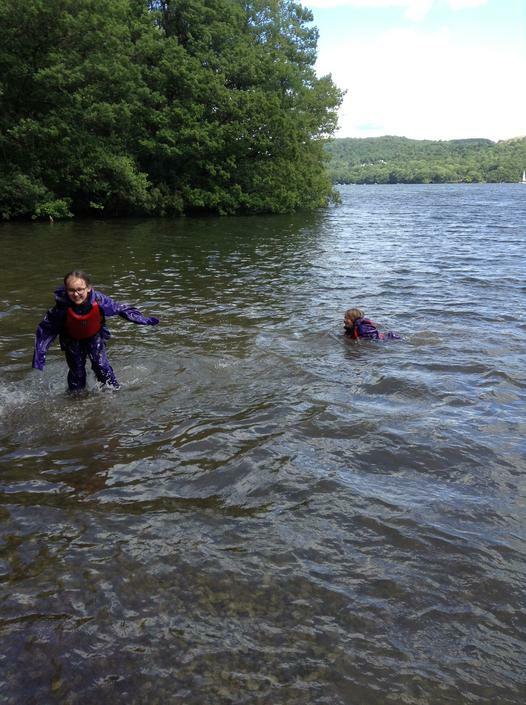 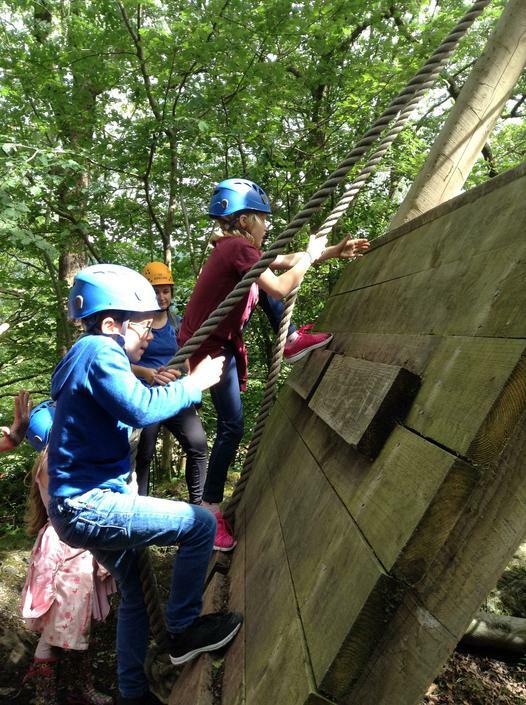 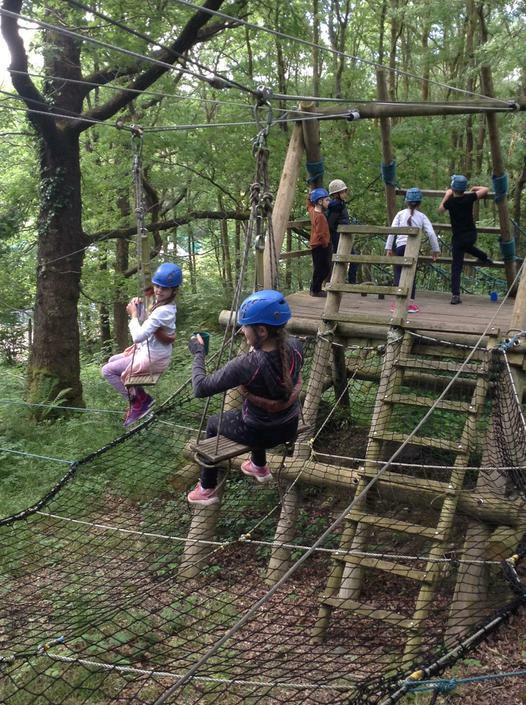 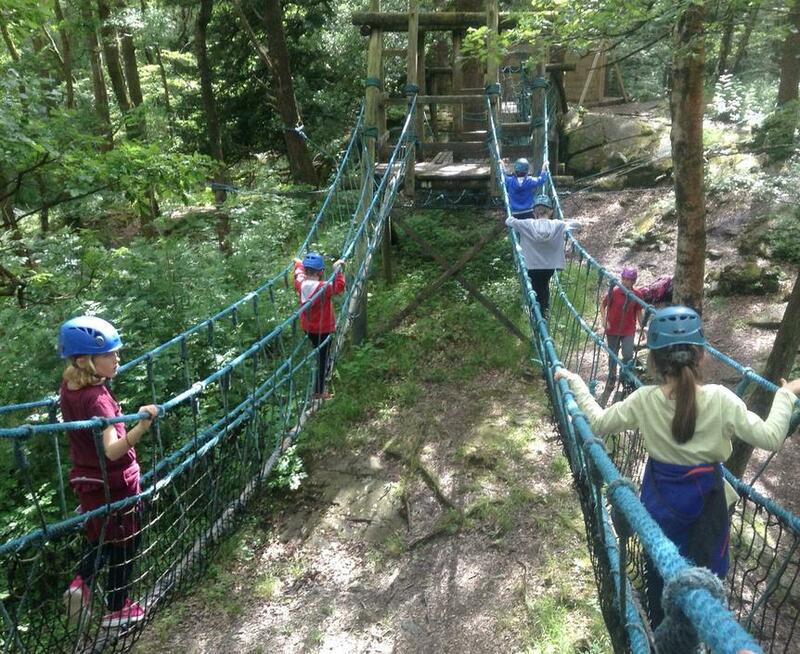 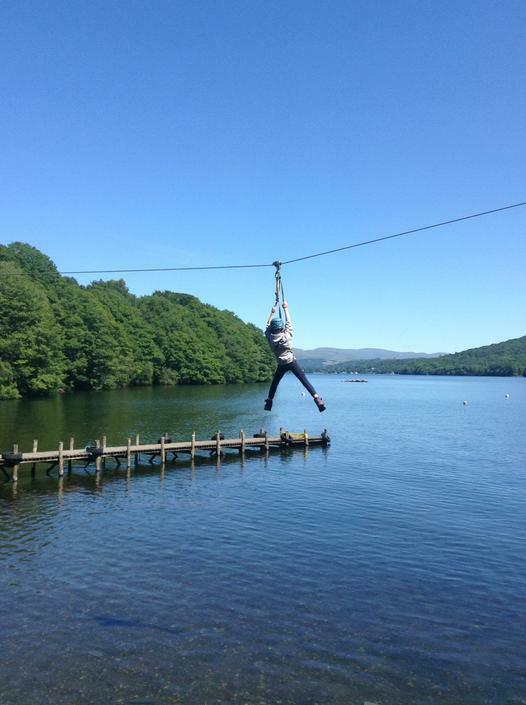 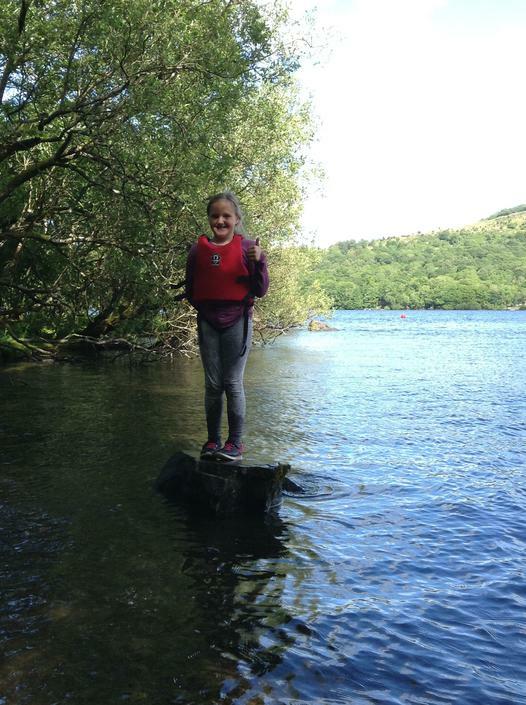 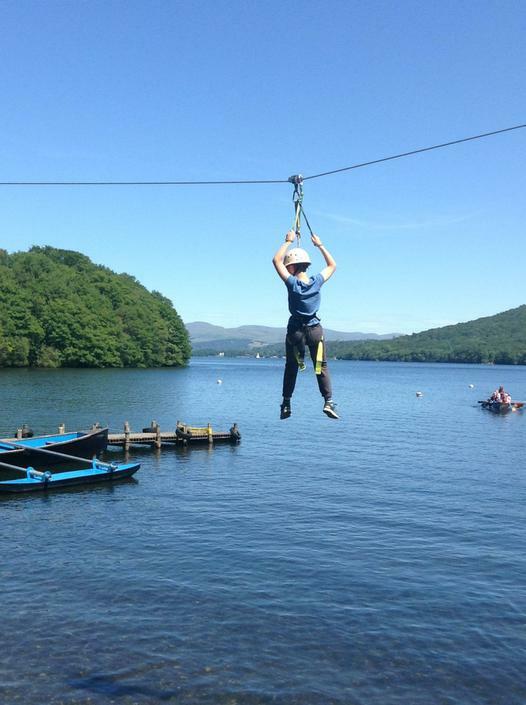 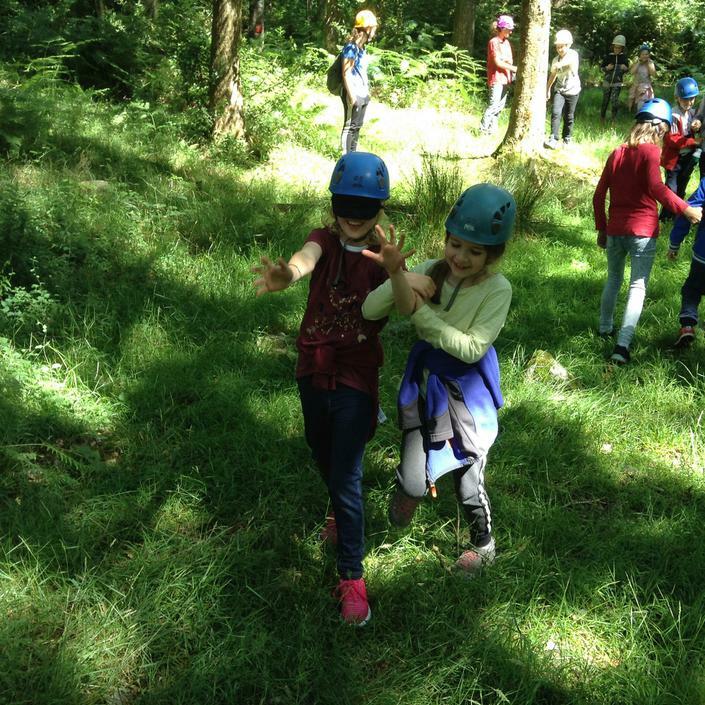 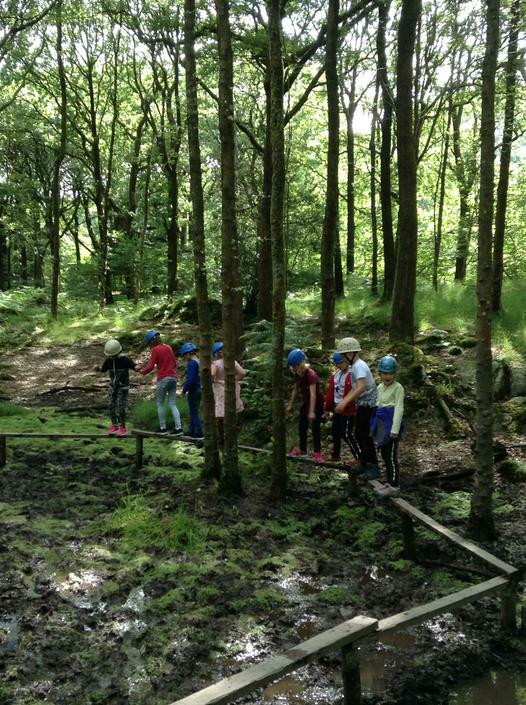 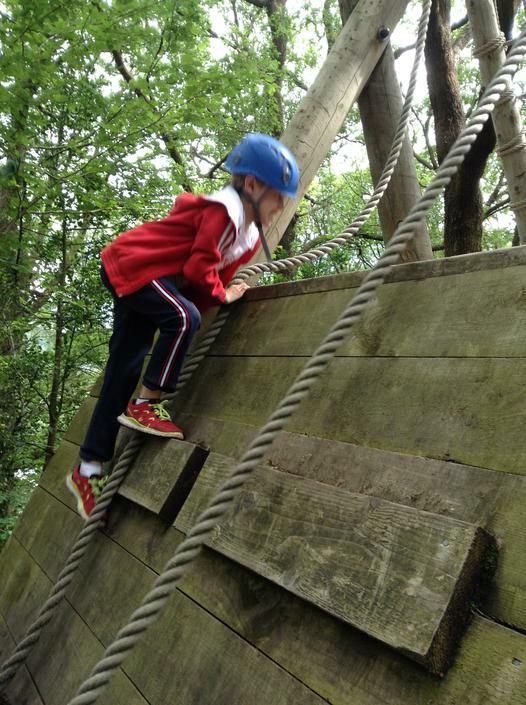 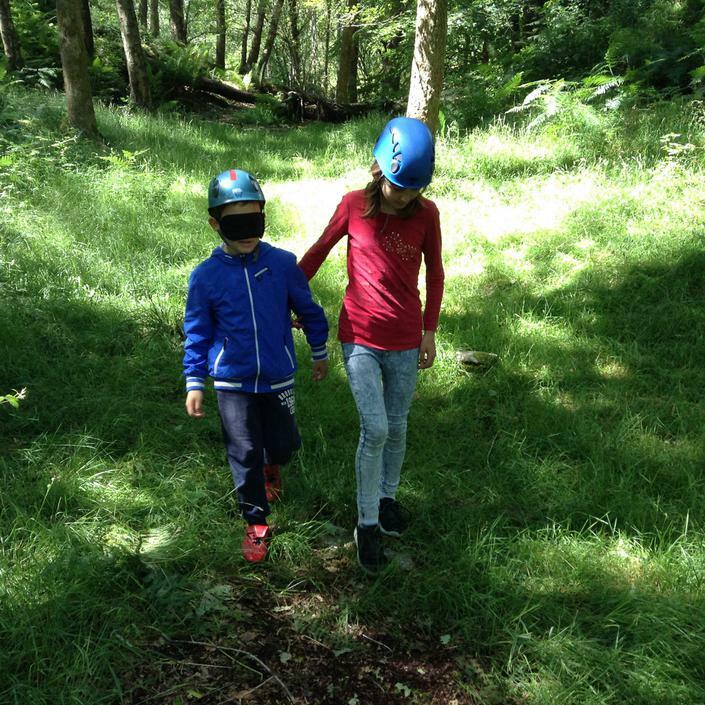 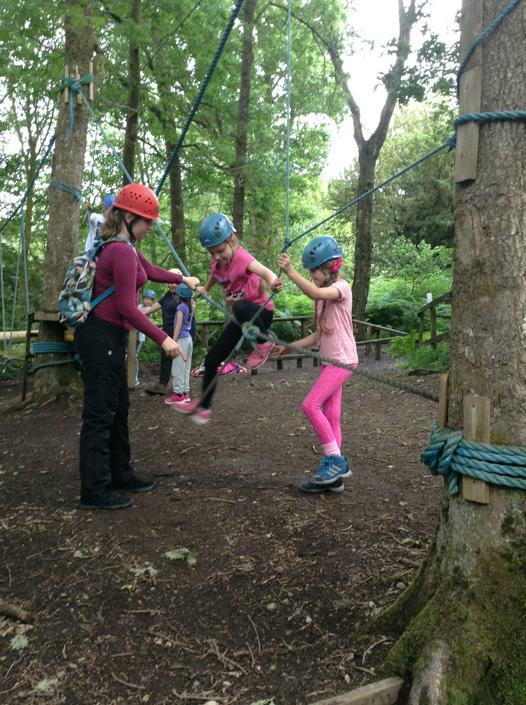 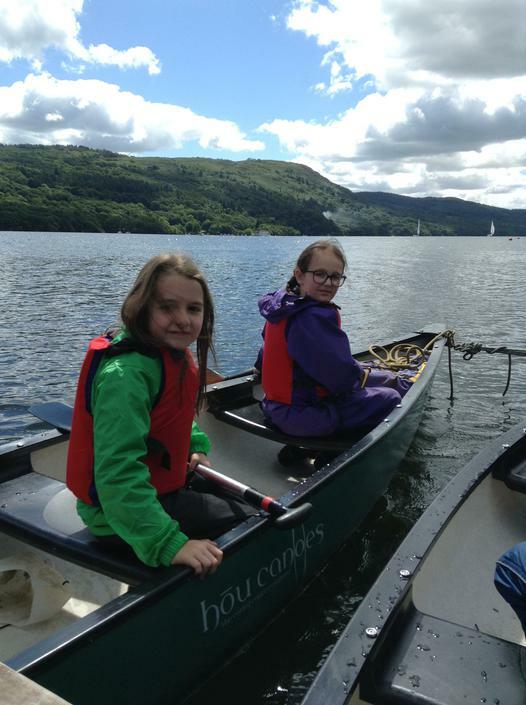 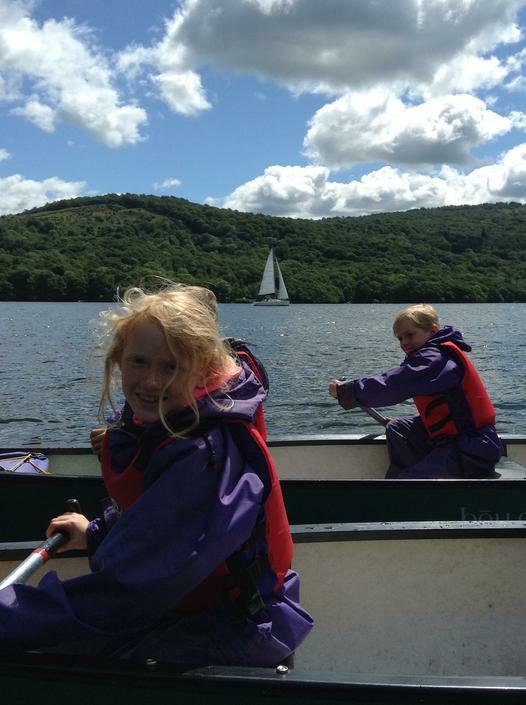 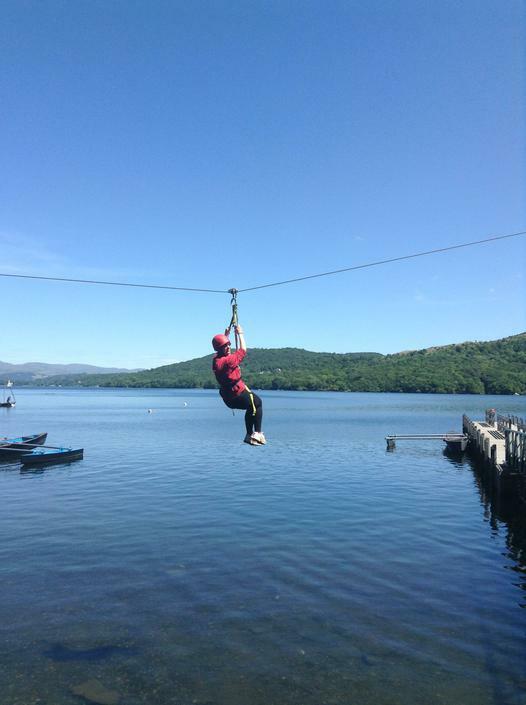 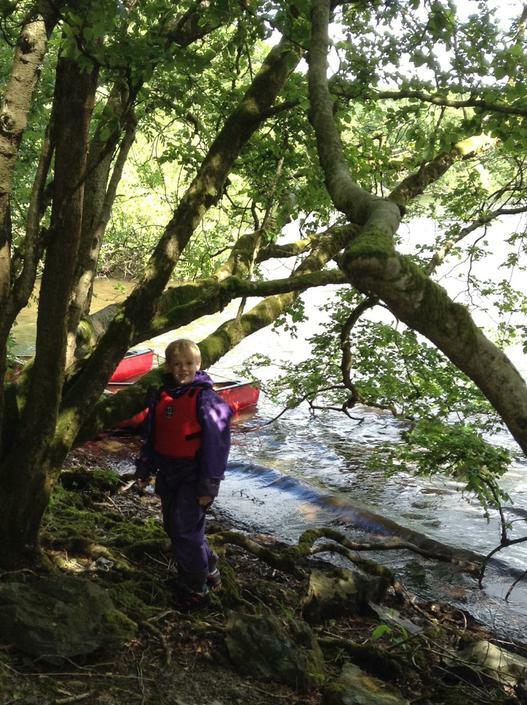 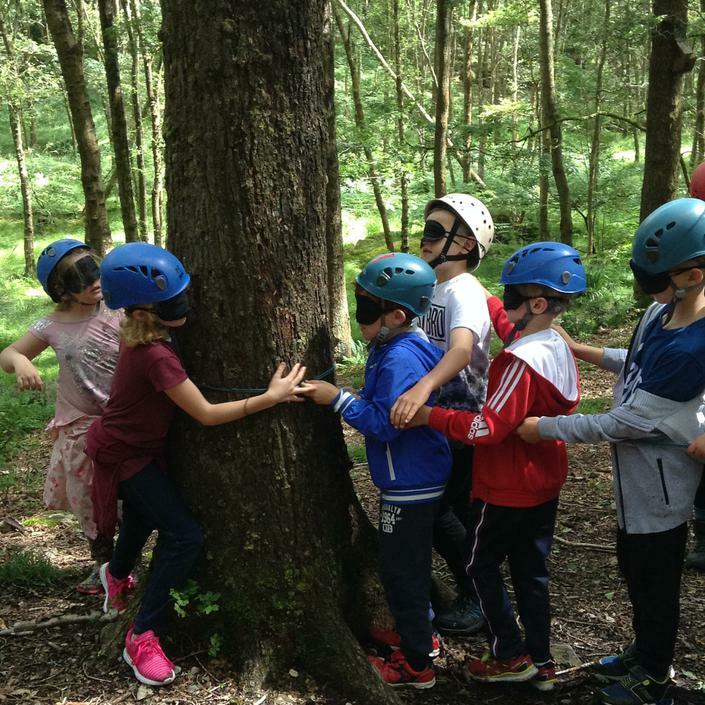 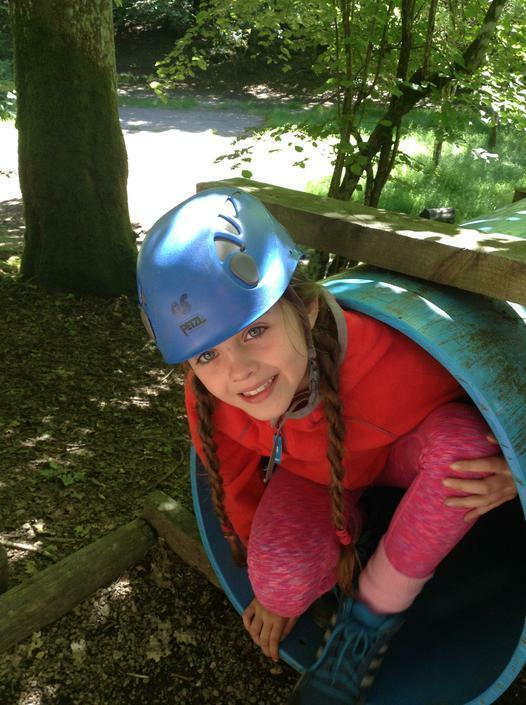 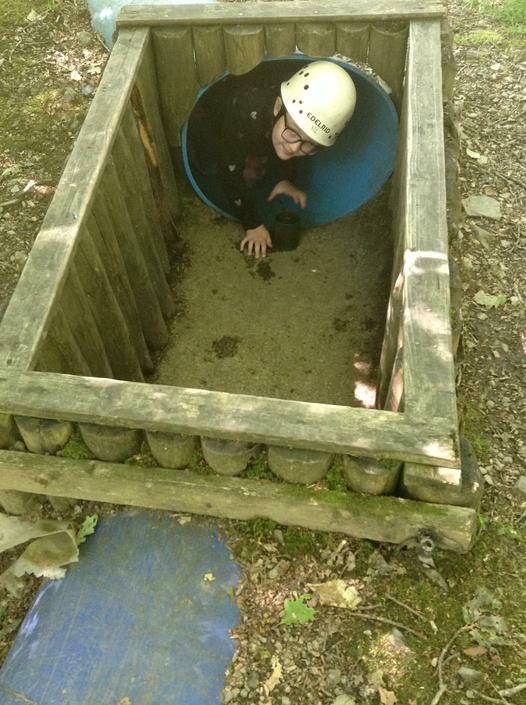 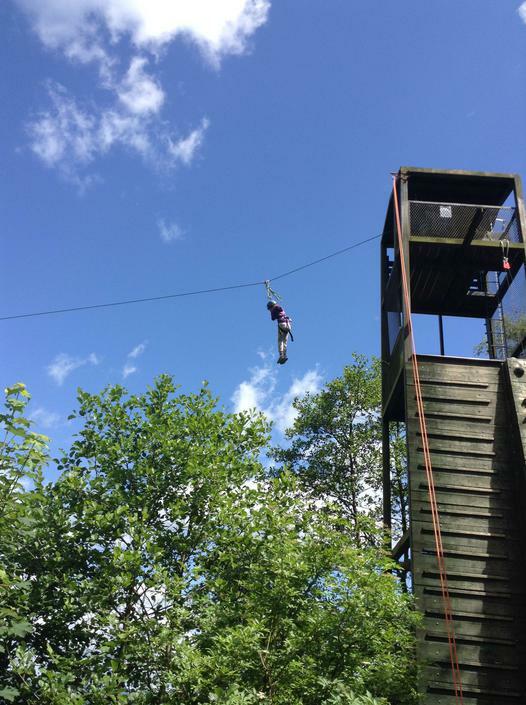 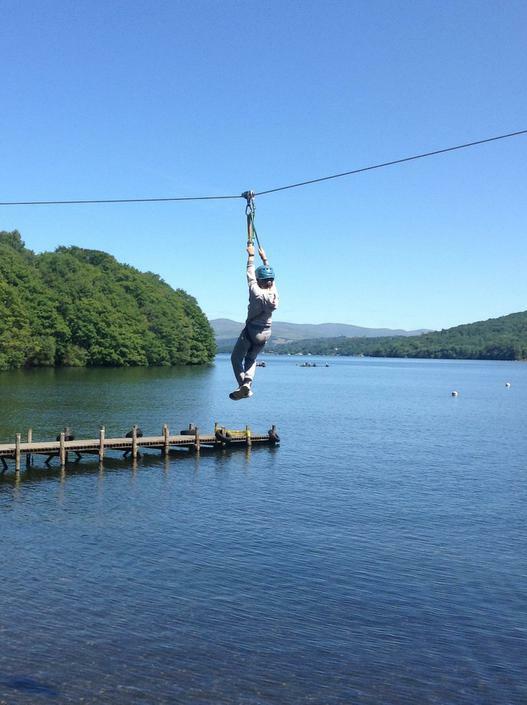 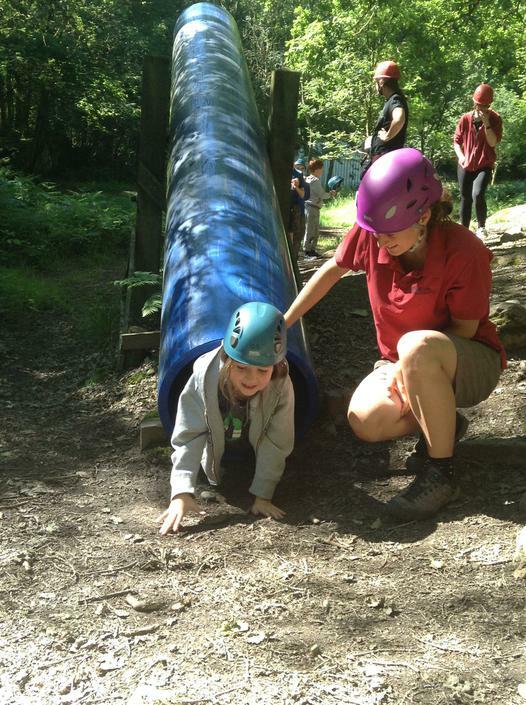 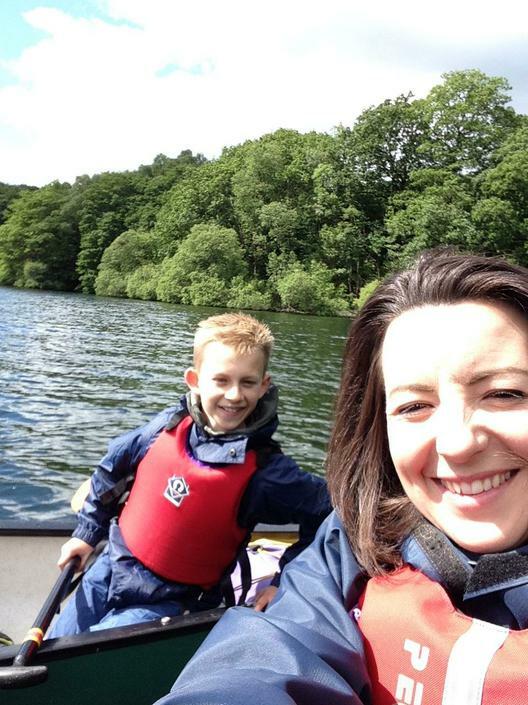 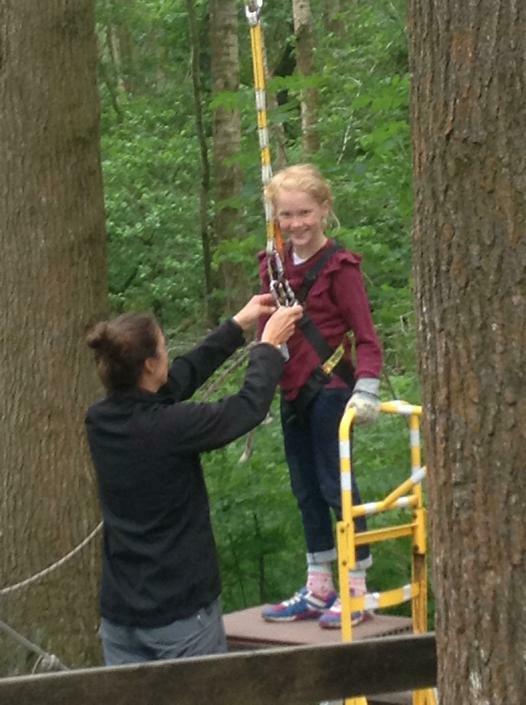 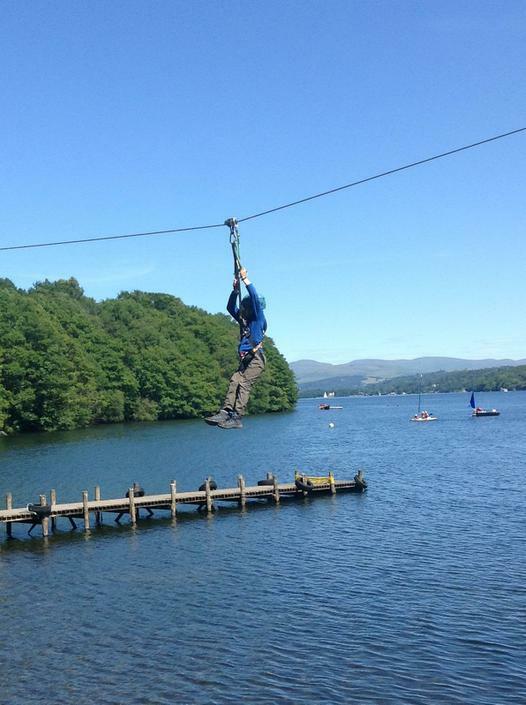 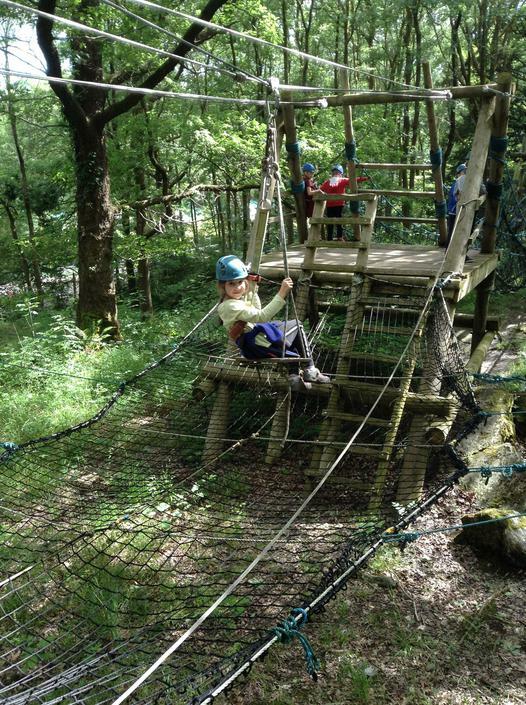 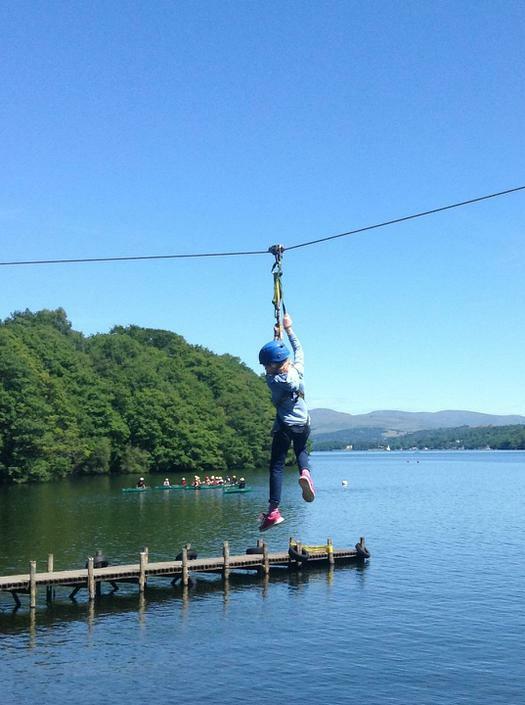 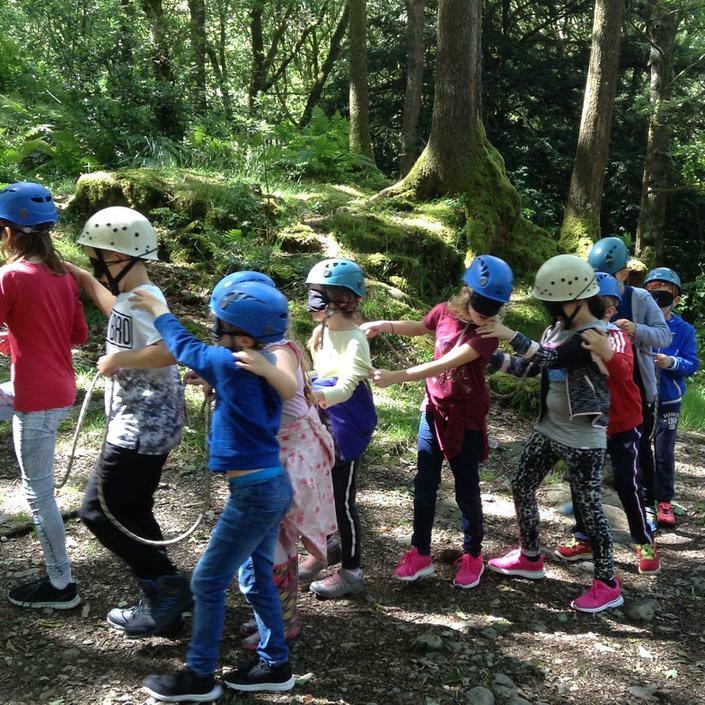 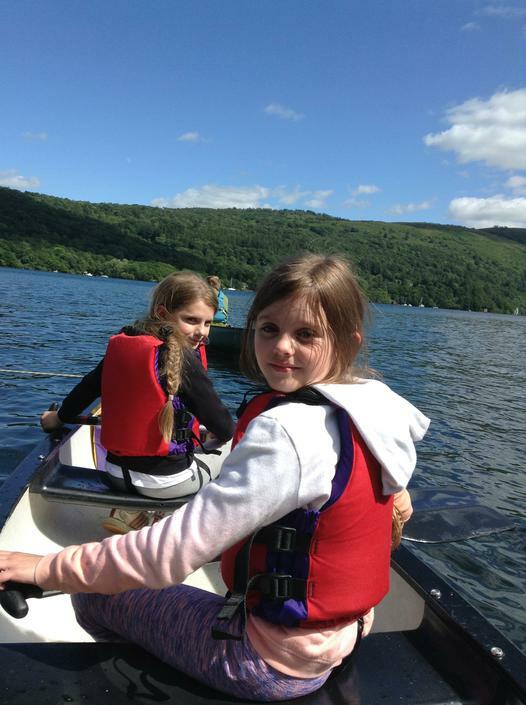 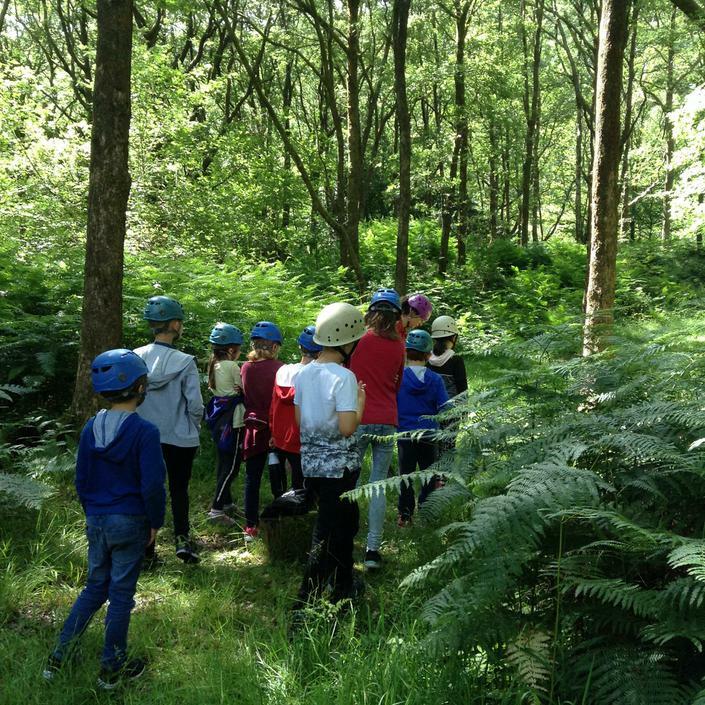 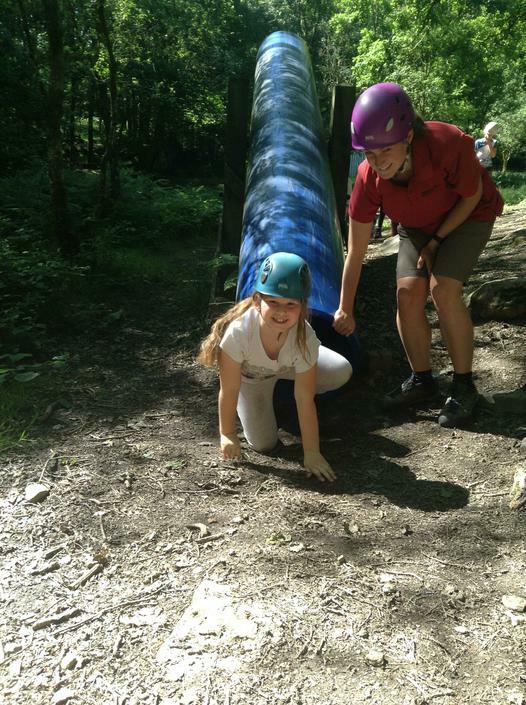 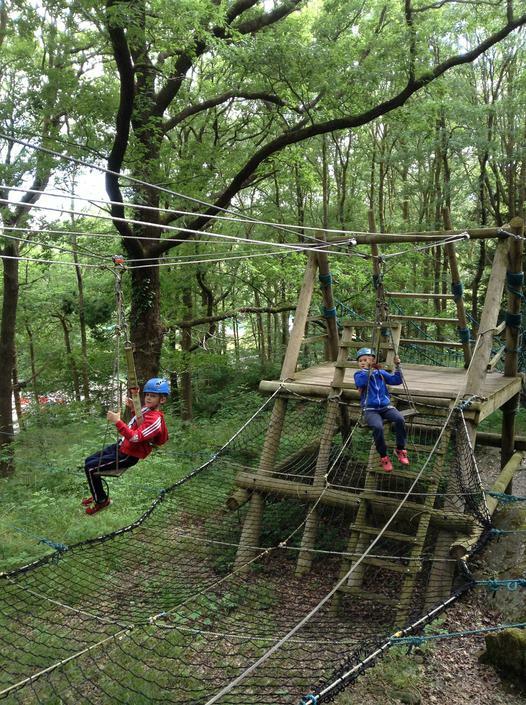 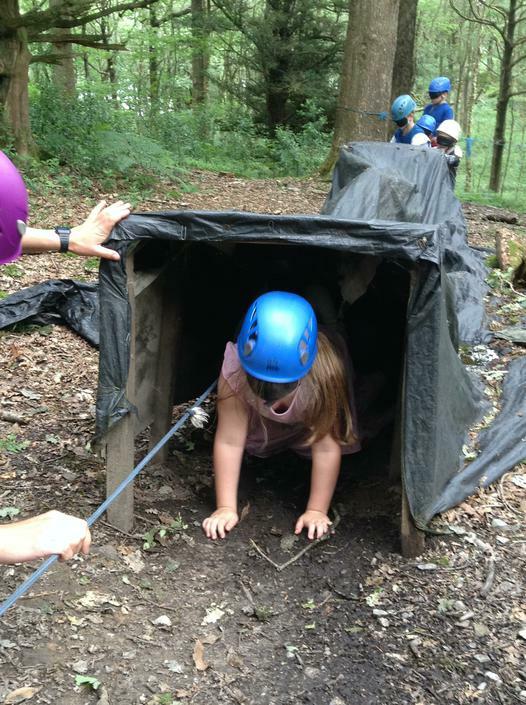 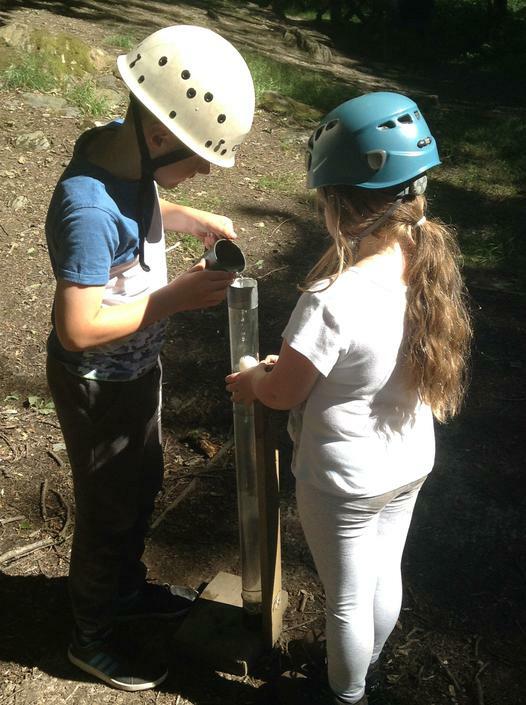 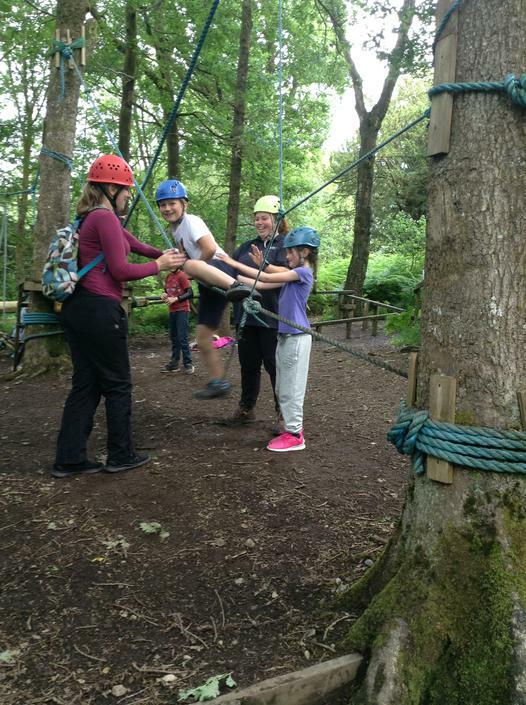 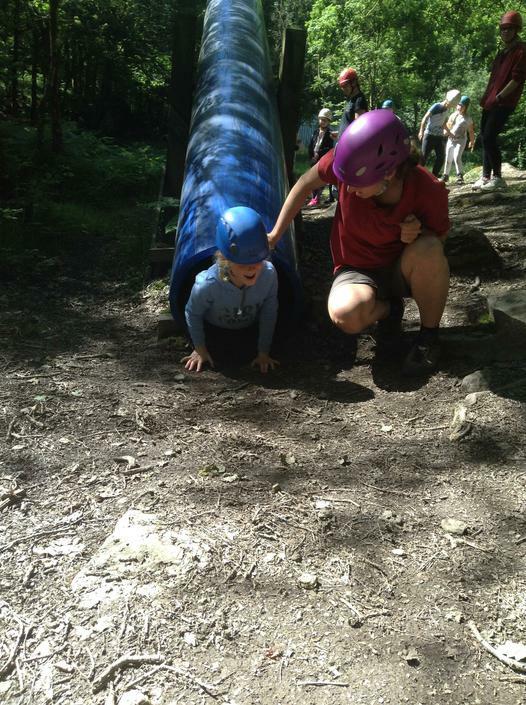 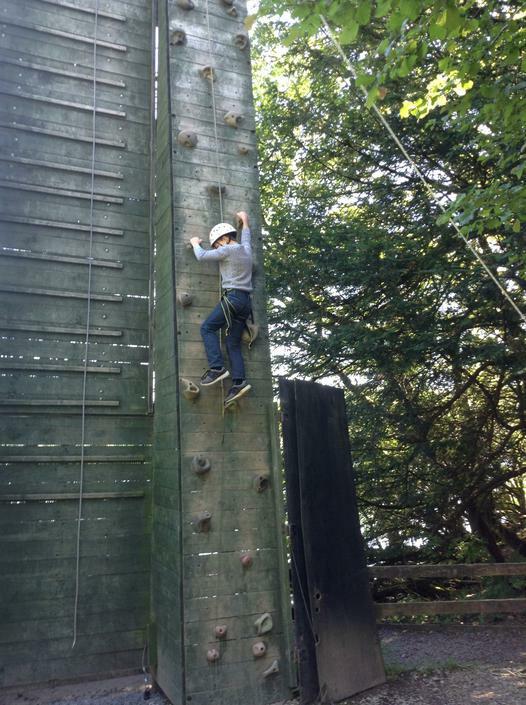 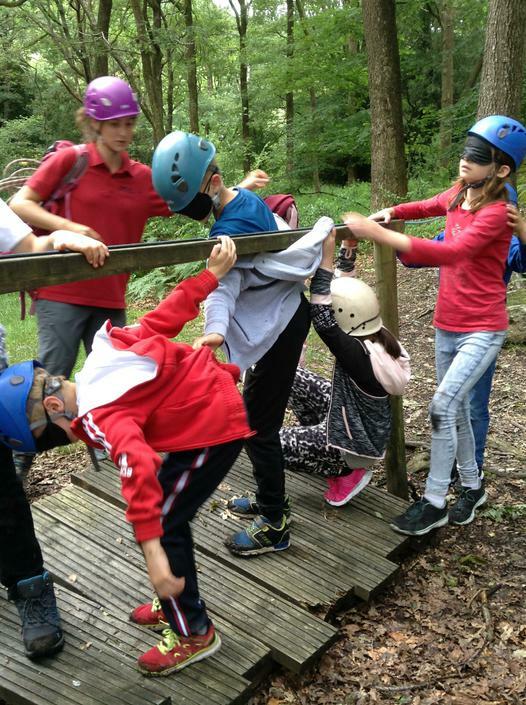 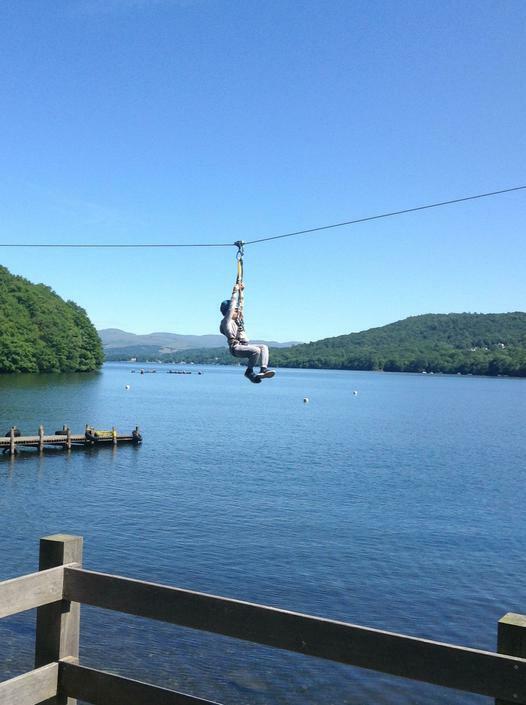 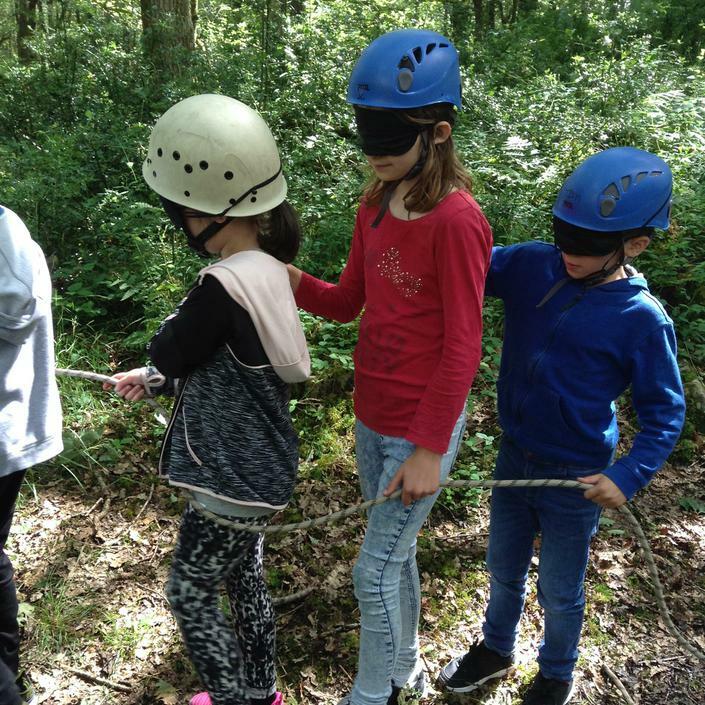 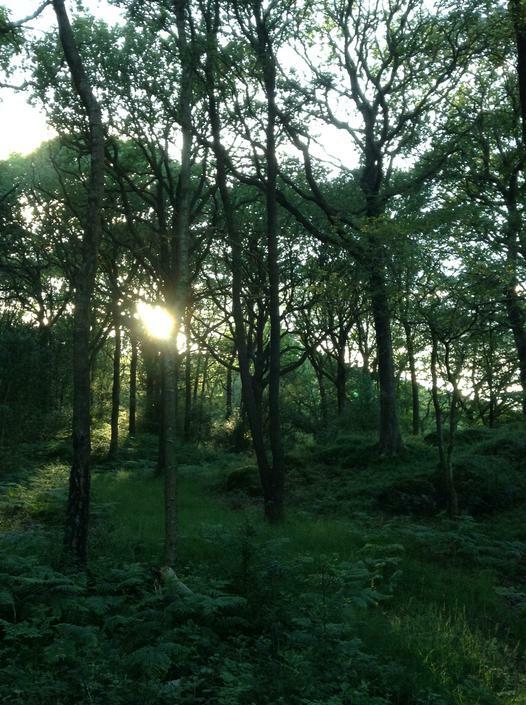 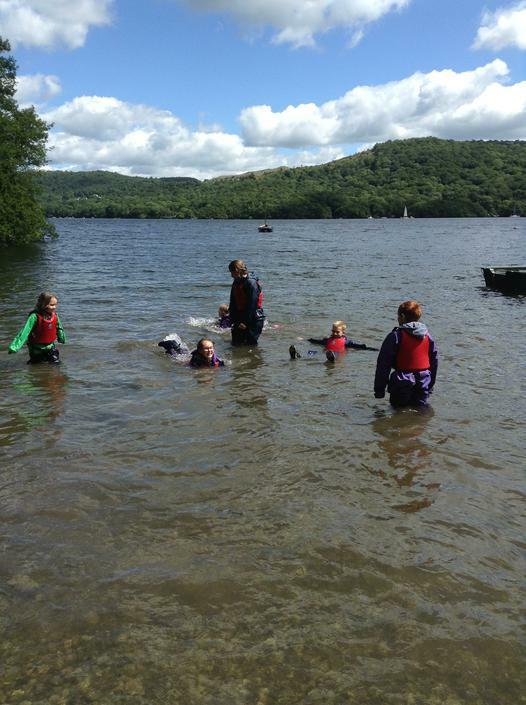 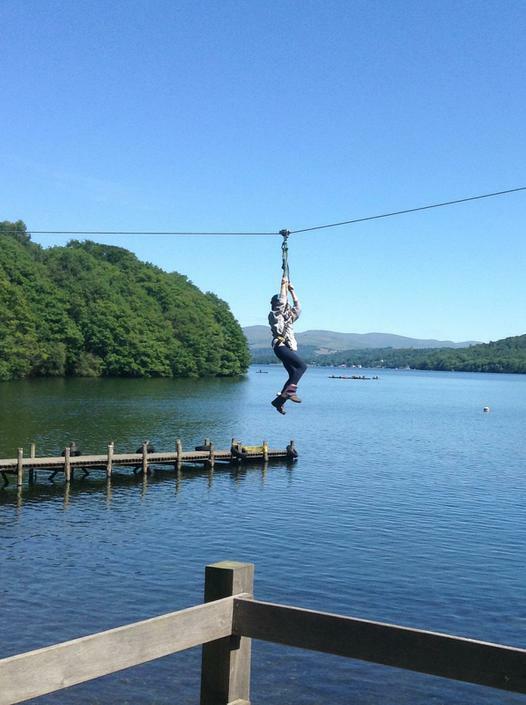 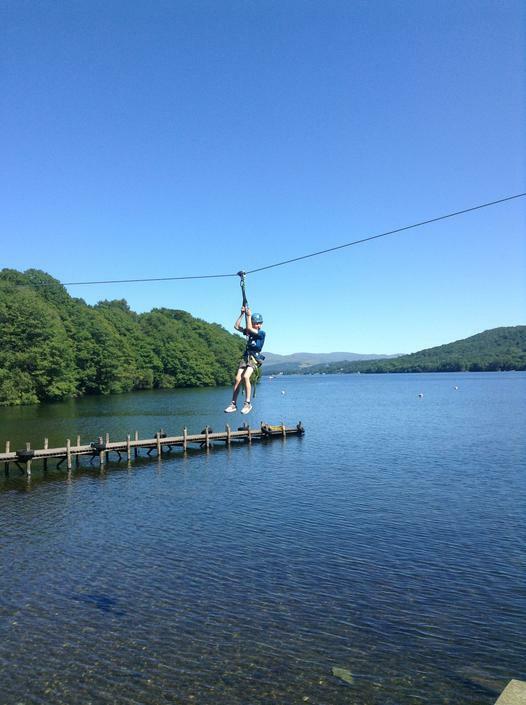 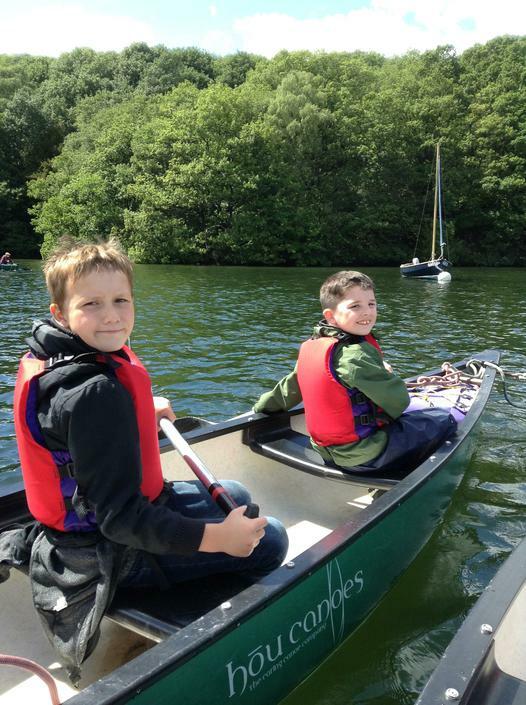 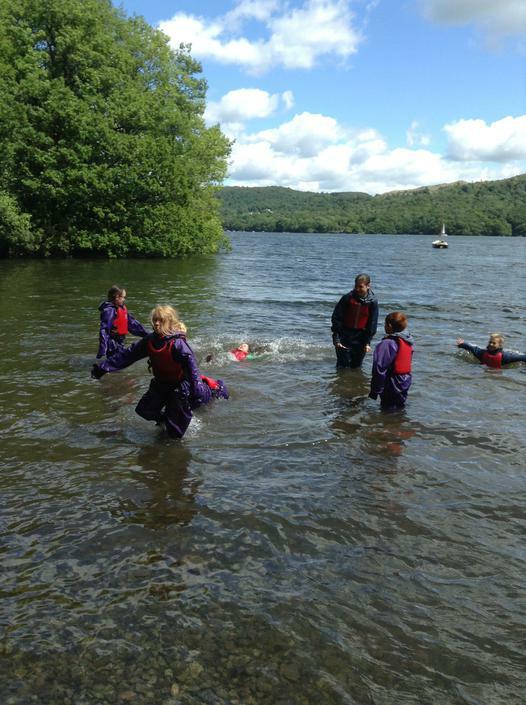 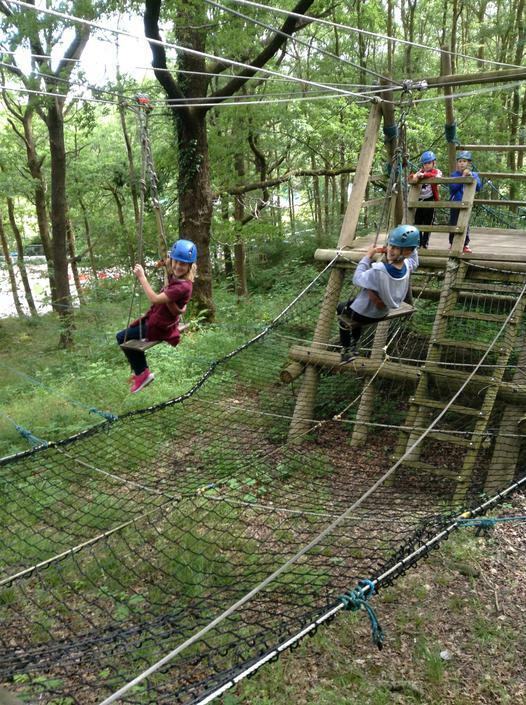 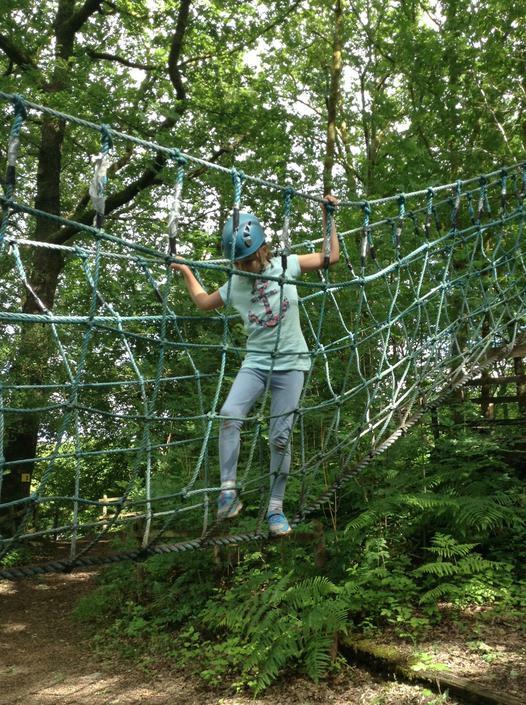 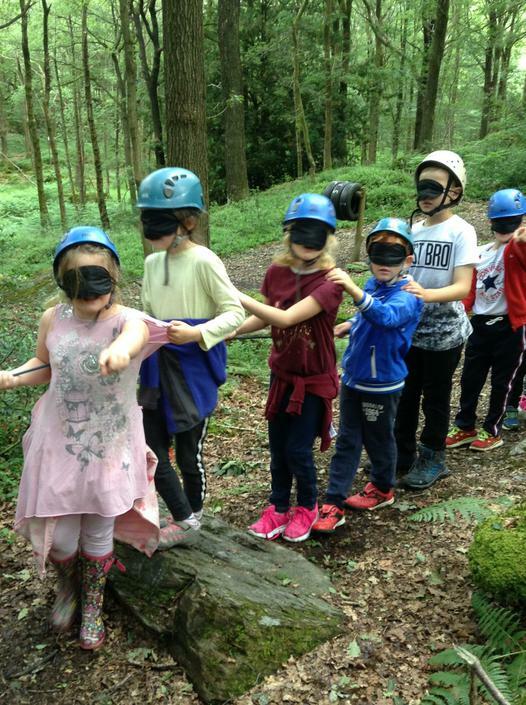 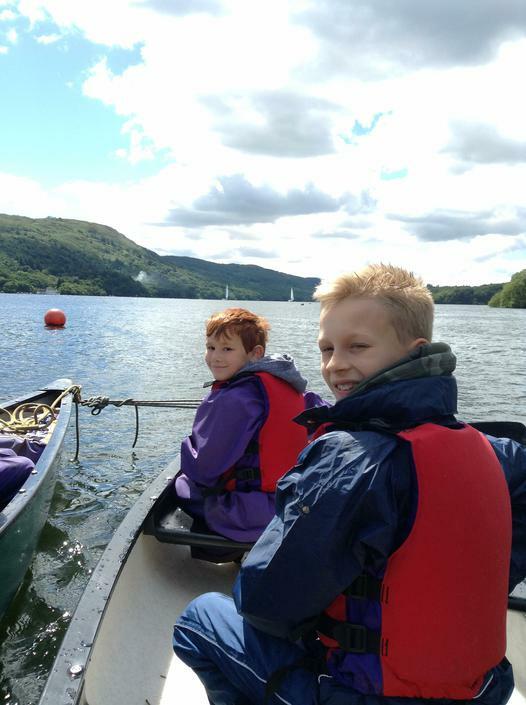 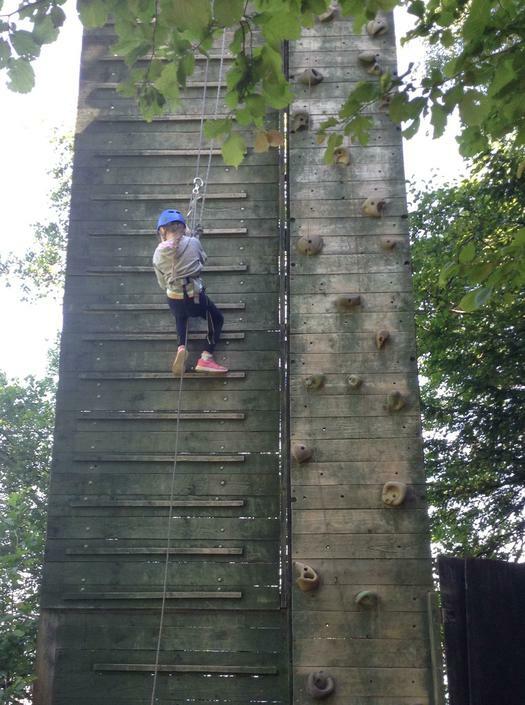 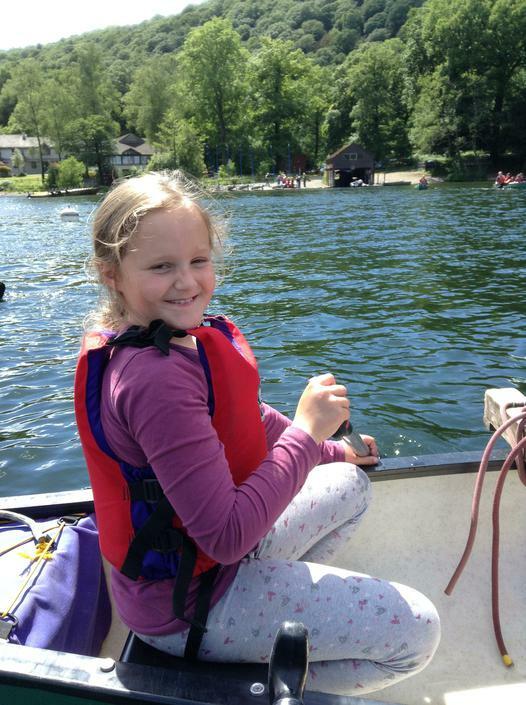 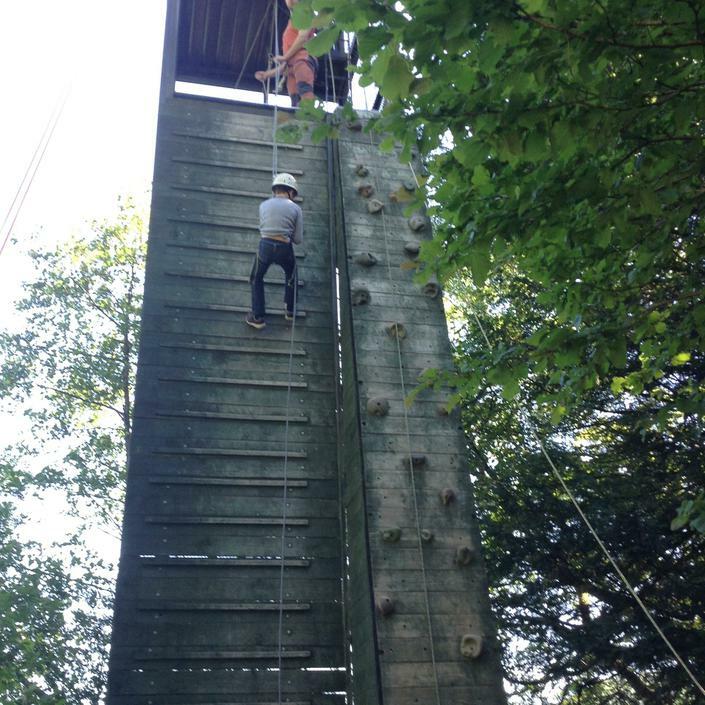 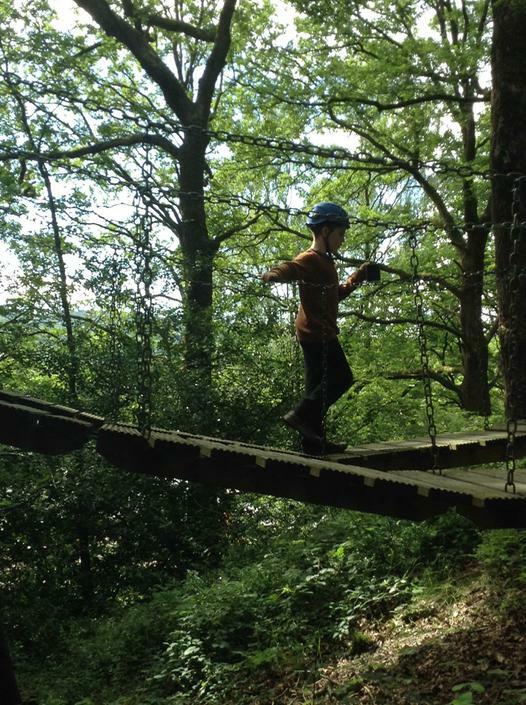 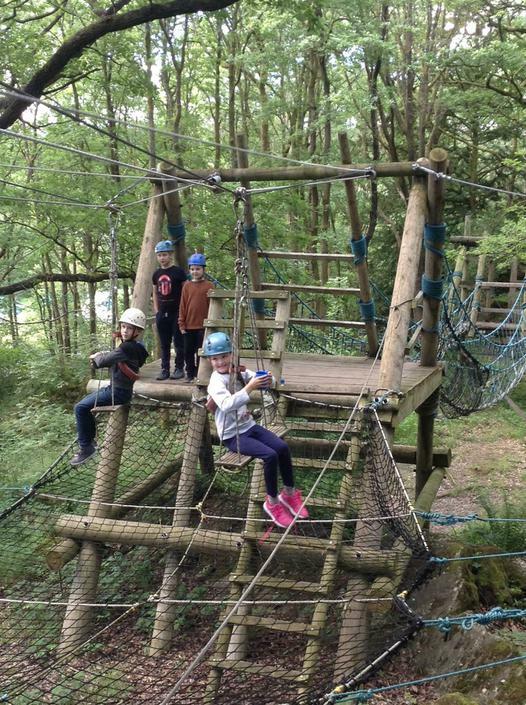 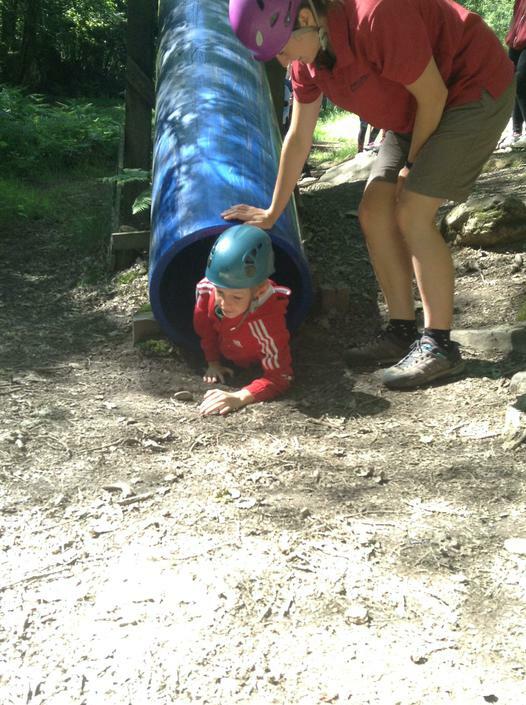 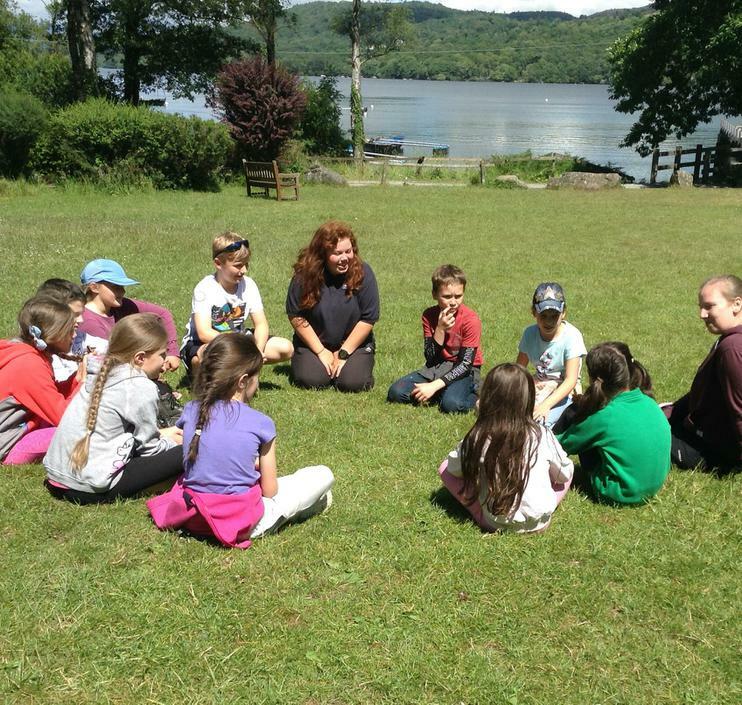 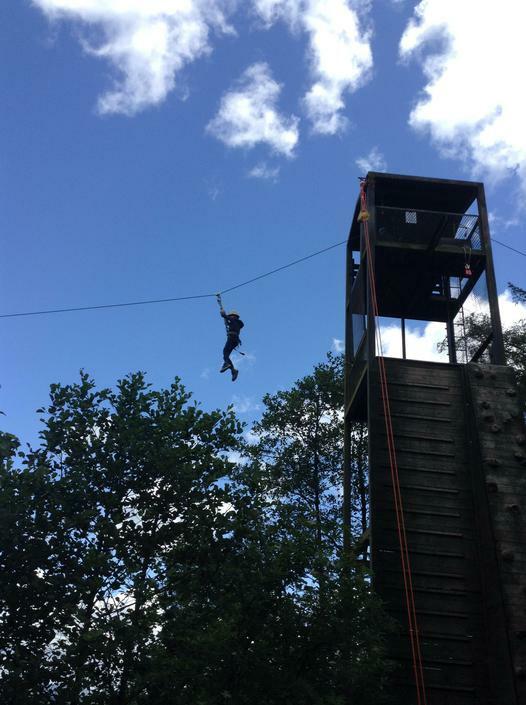 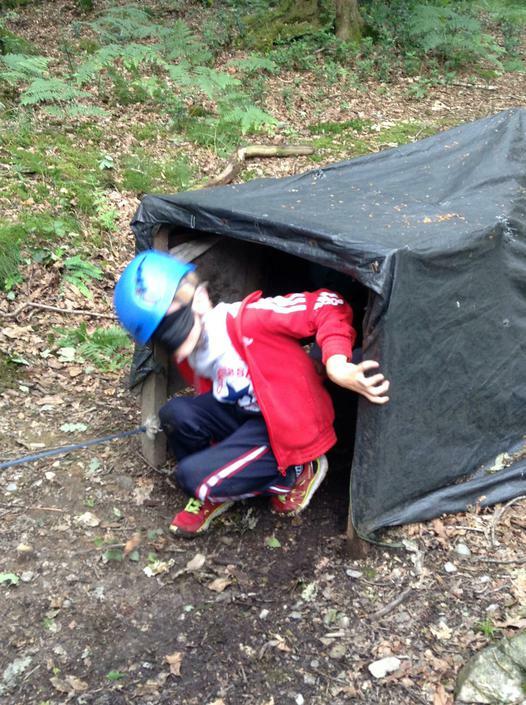 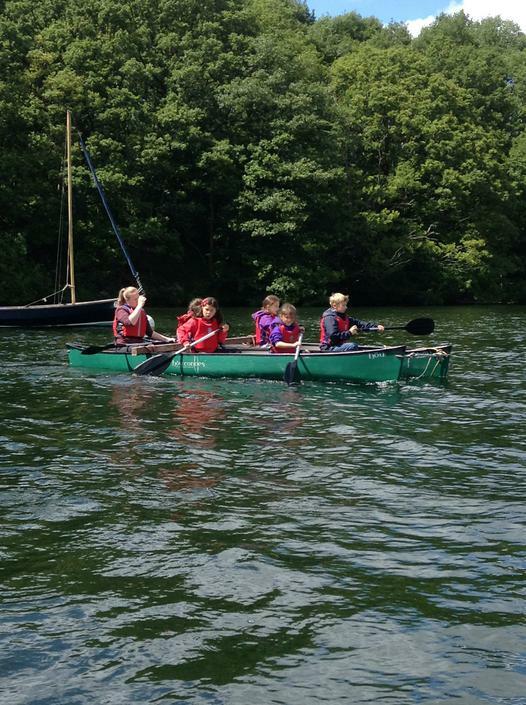 During our three-day stay on the shores of Lake Windermere, we enjoyed lots of fun and adventurous, yet challenging activities. 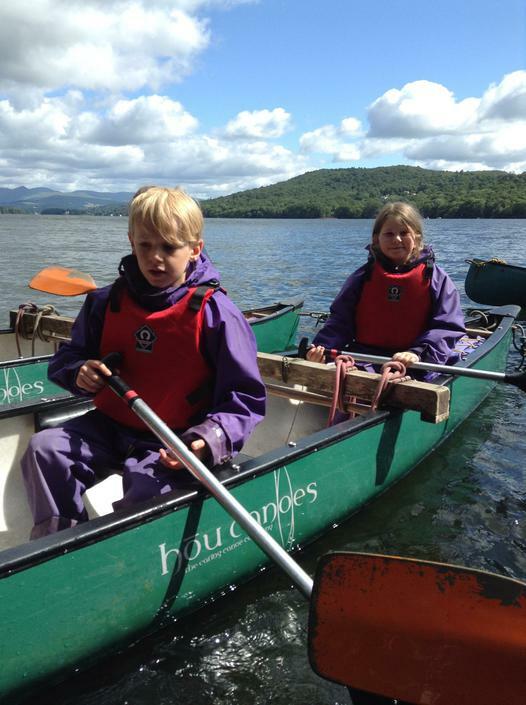 We learned how to canoe and loved paddling up the lake to find some hidden beaches and islands with nesting oyster-catchers. 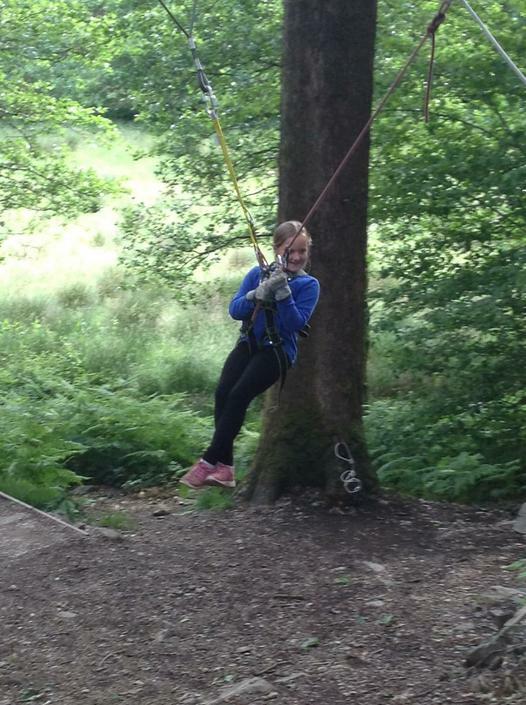 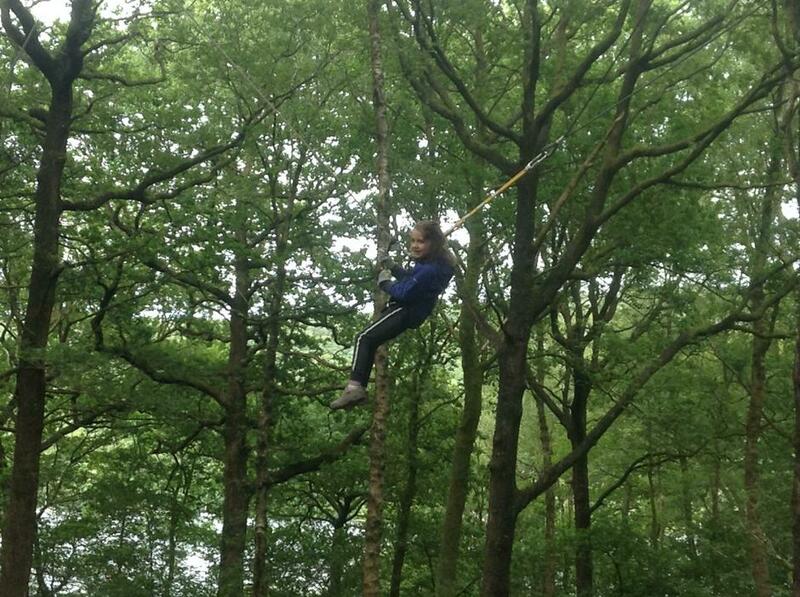 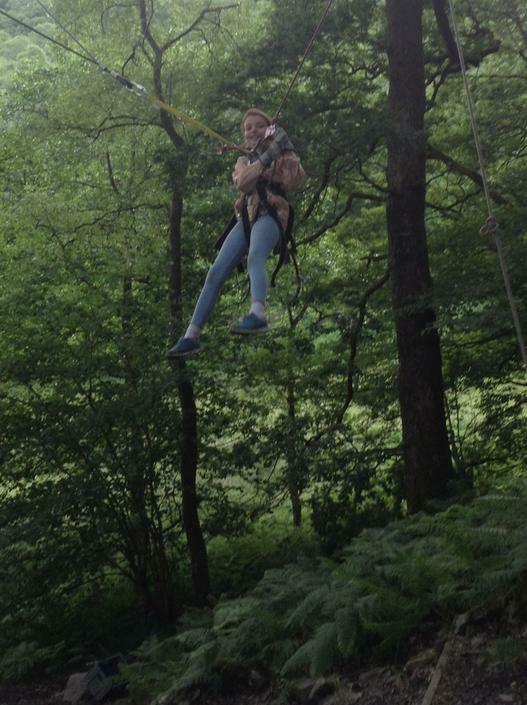 We channeled our inner-monkeys and swung through the trees on the King Swing! 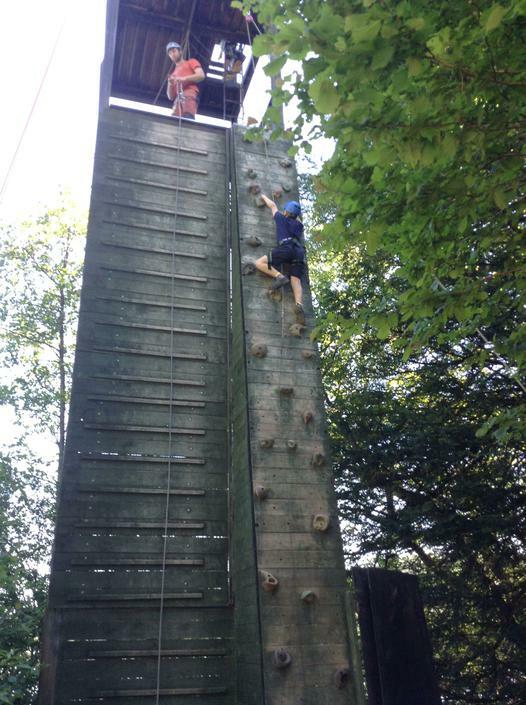 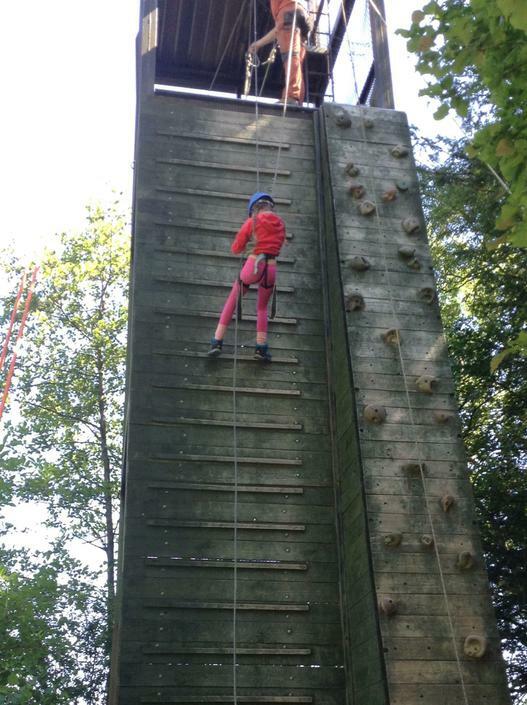 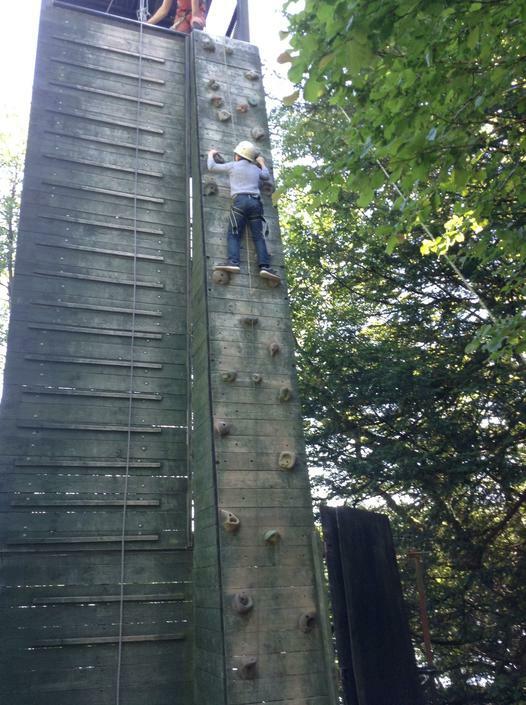 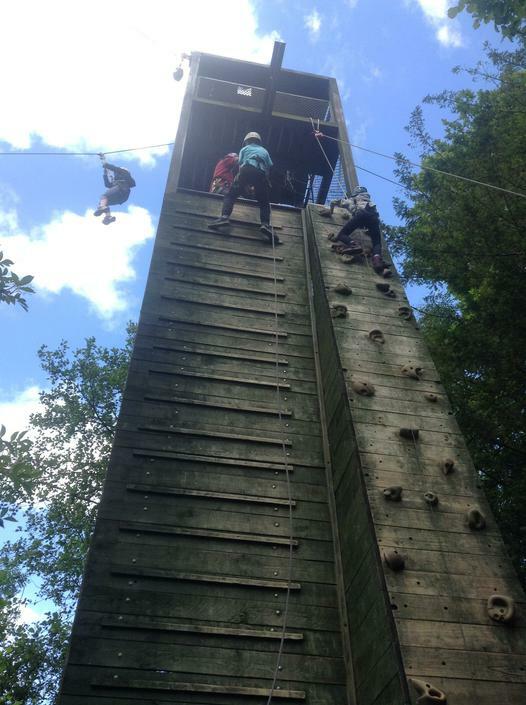 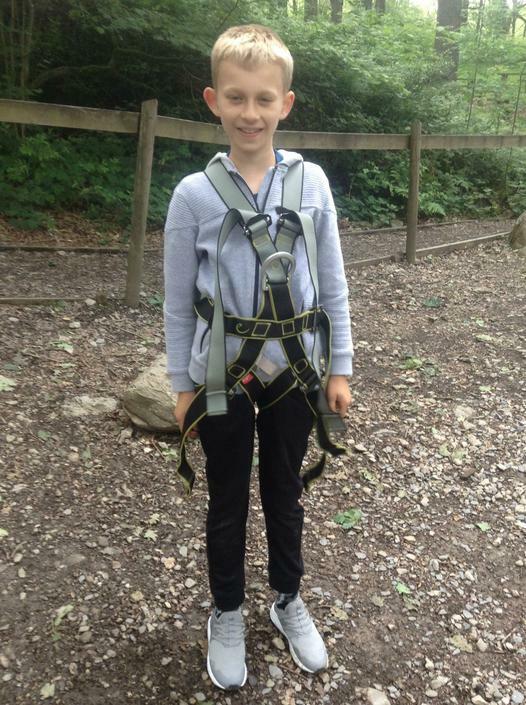 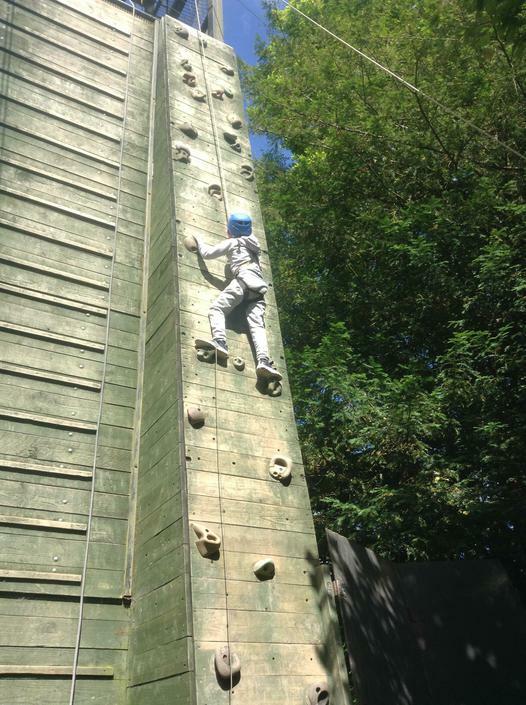 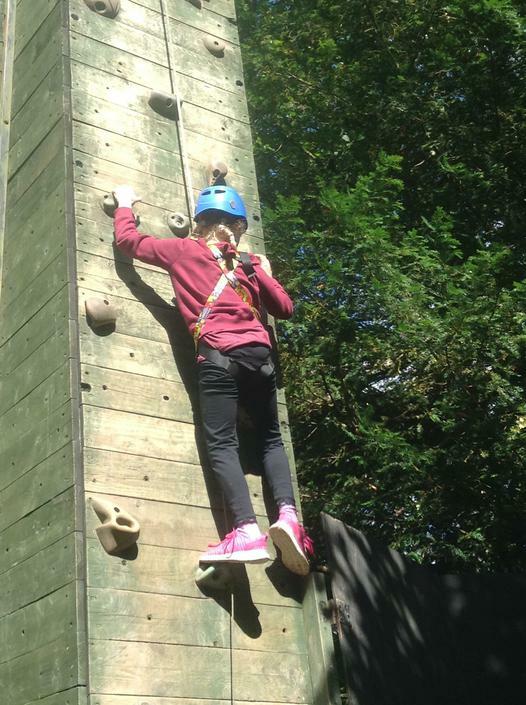 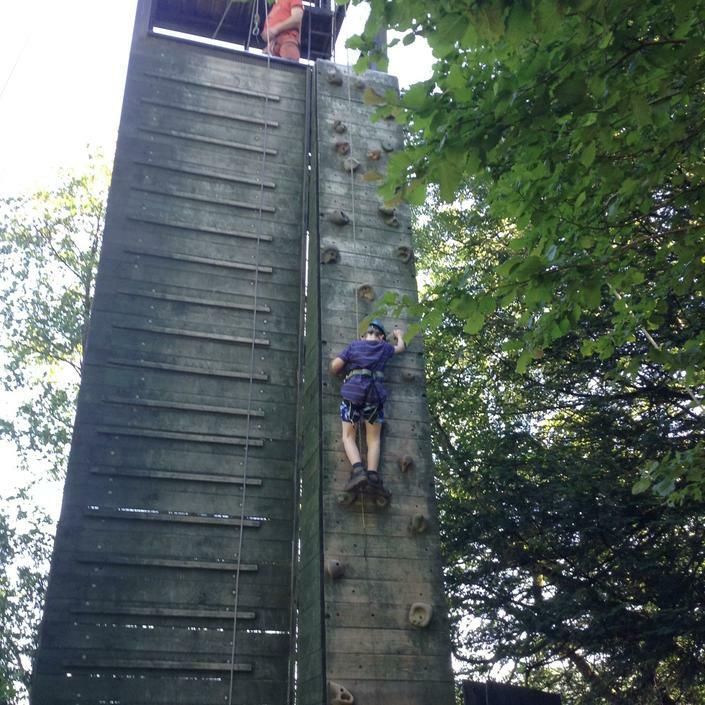 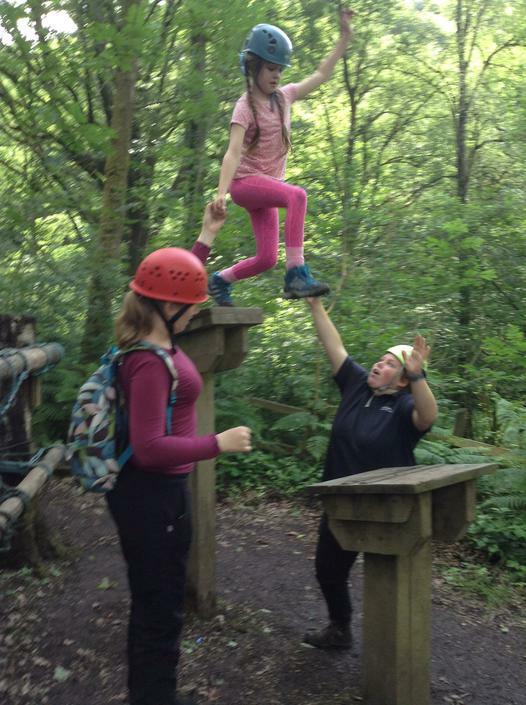 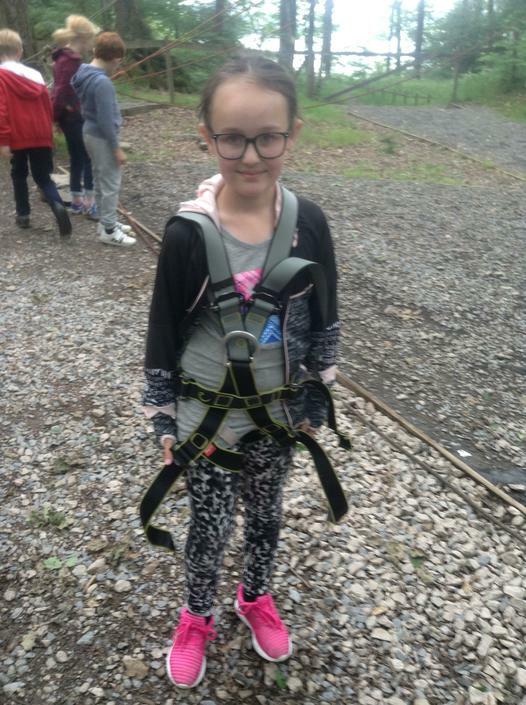 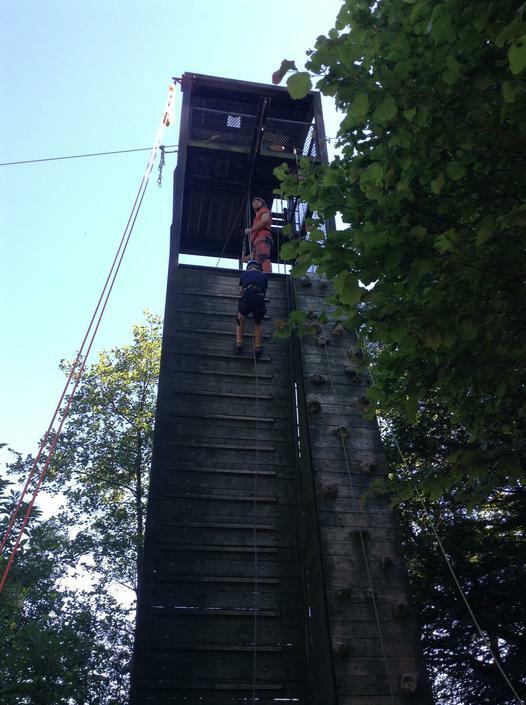 With help from our team-mates, we bravely climbed and abseiled the outdoor tower. 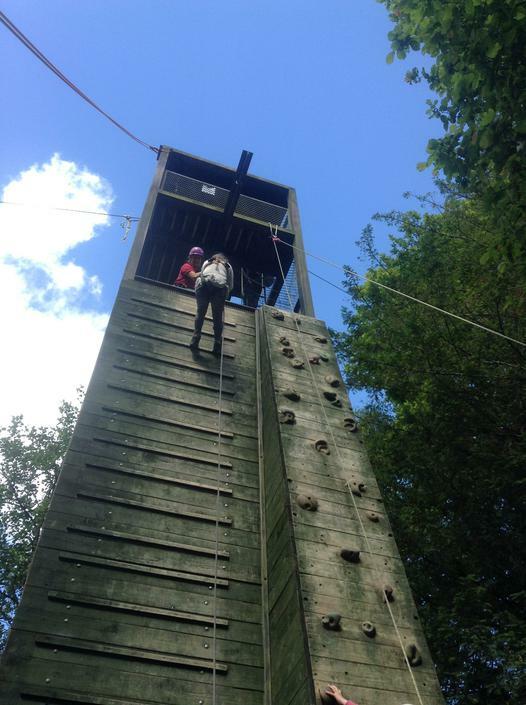 It was very high! 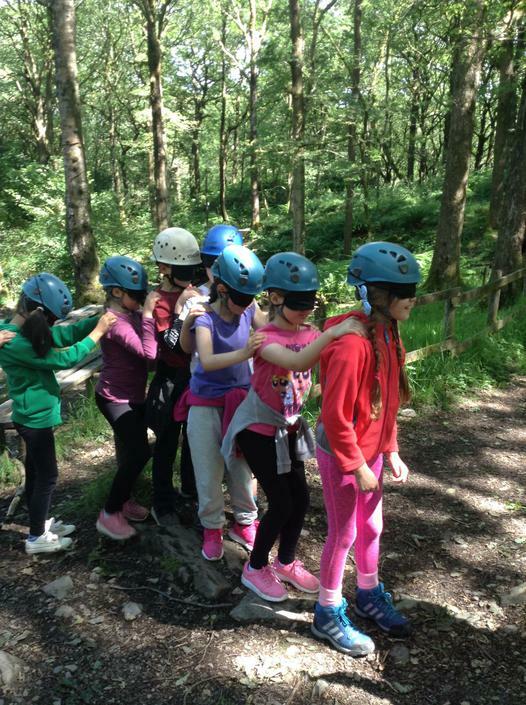 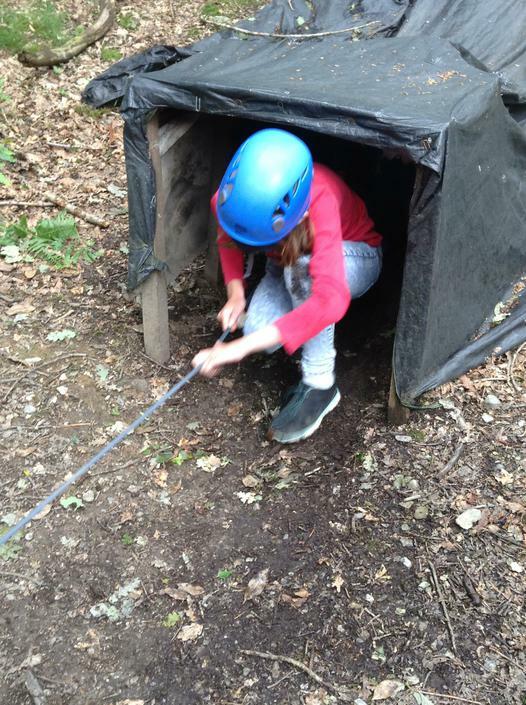 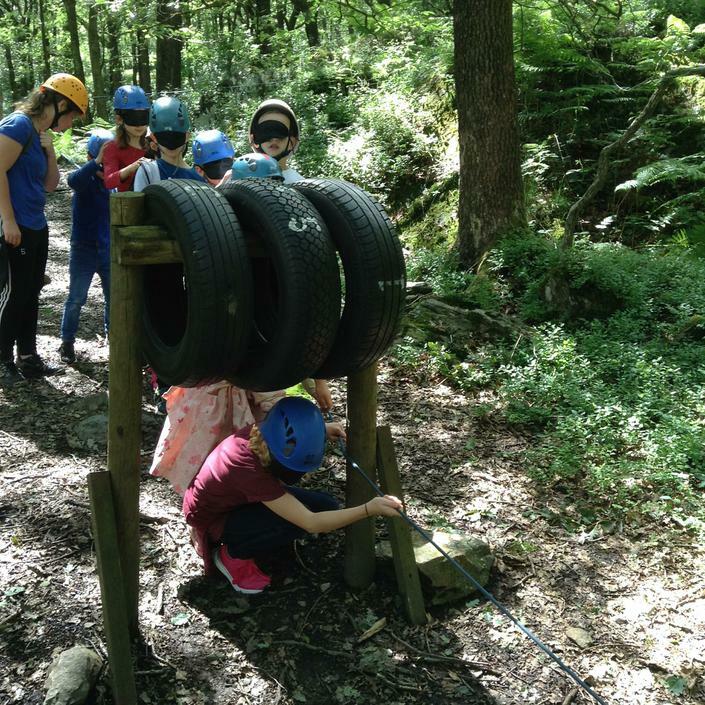 Working with our team-mates, we successfully made it through the Low Ropes and Obstacle Courses and conquered the Nightline! 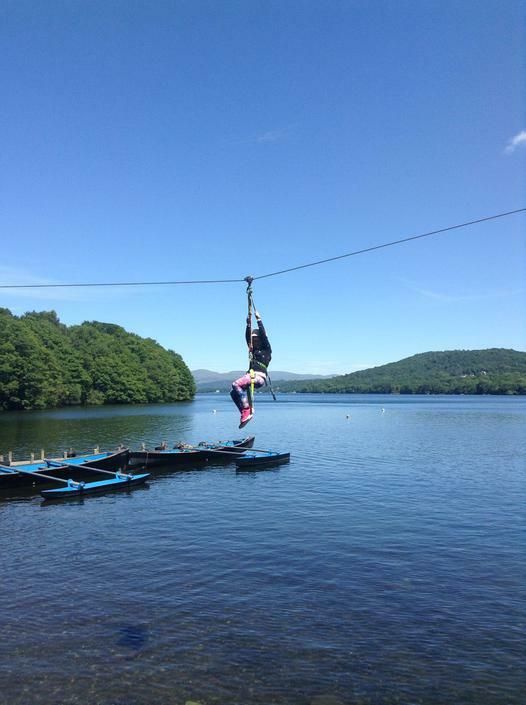 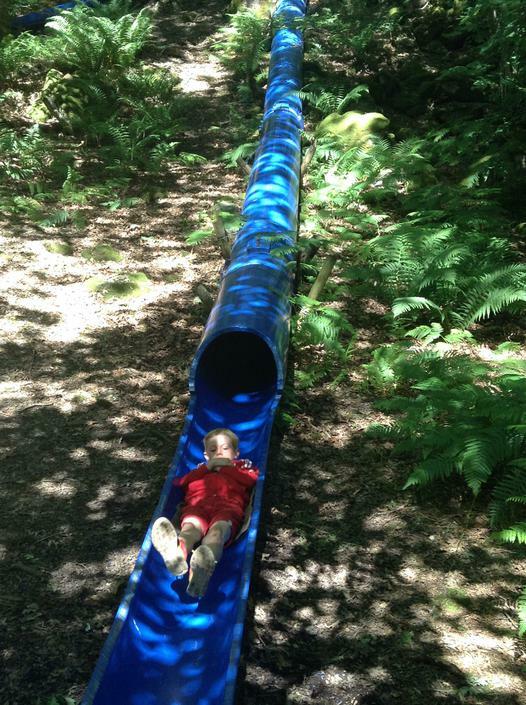 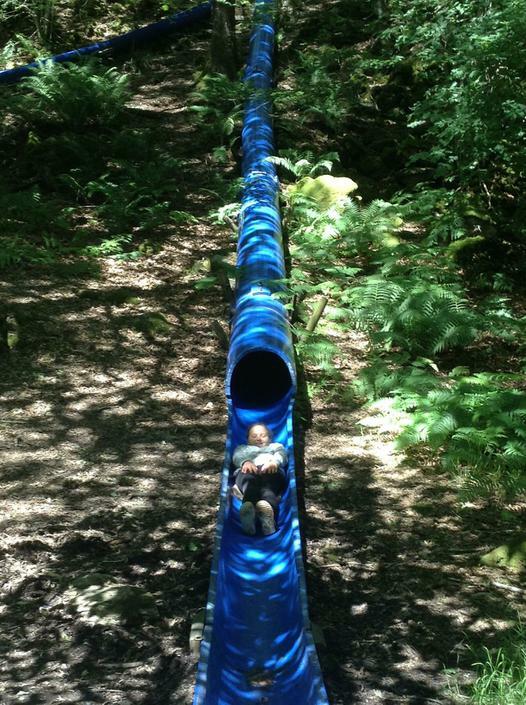 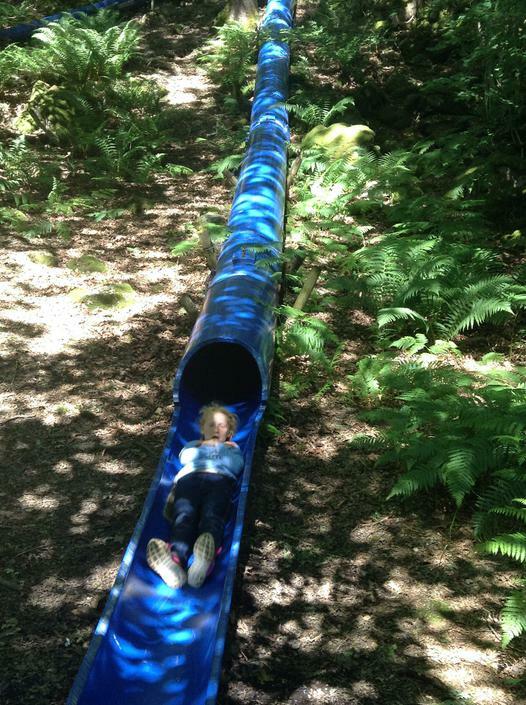 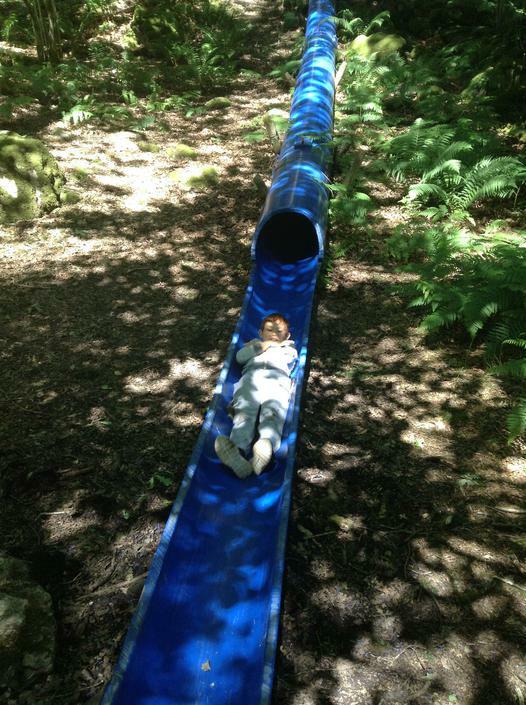 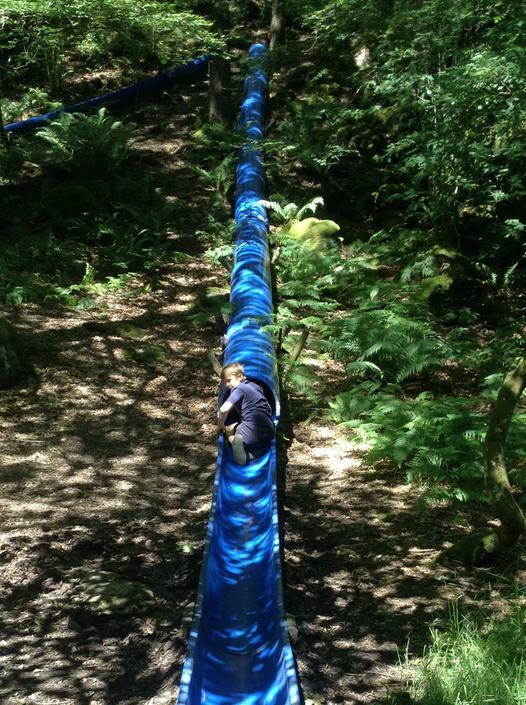 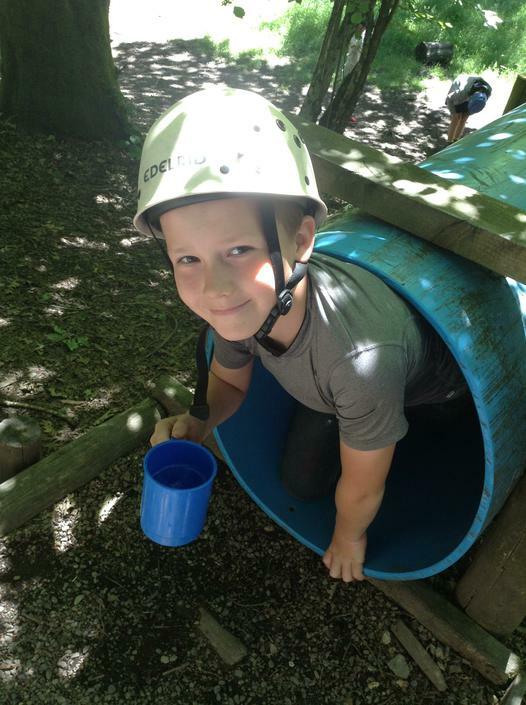 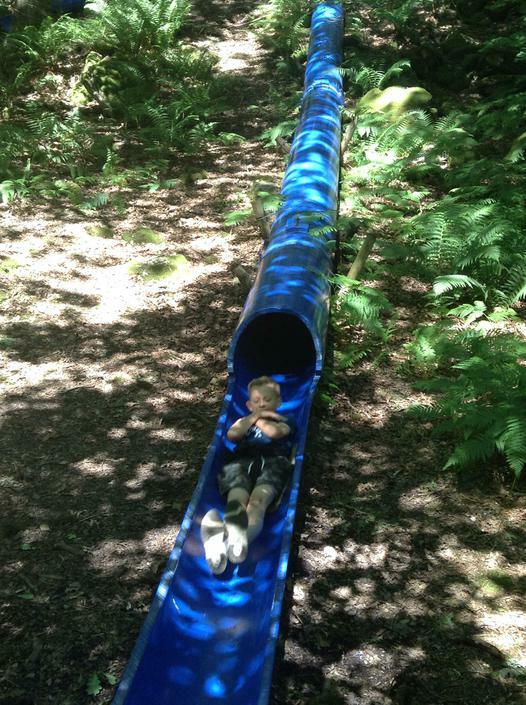 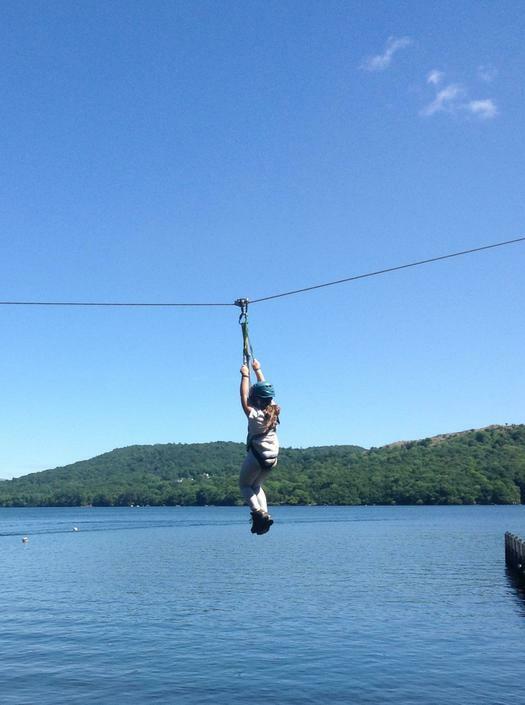 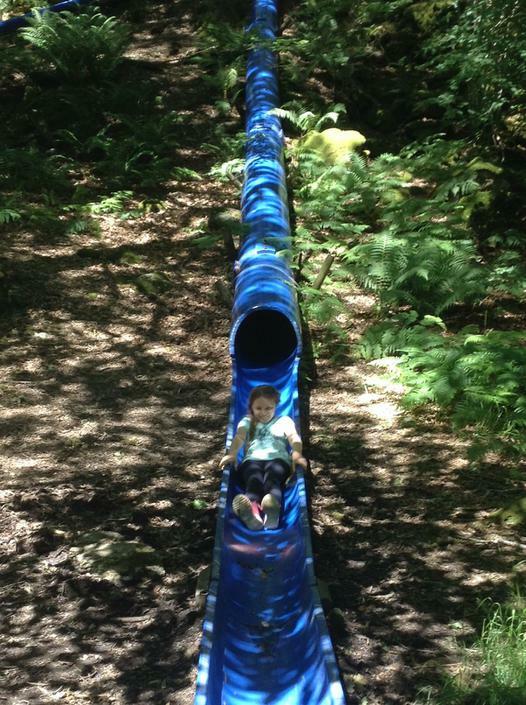 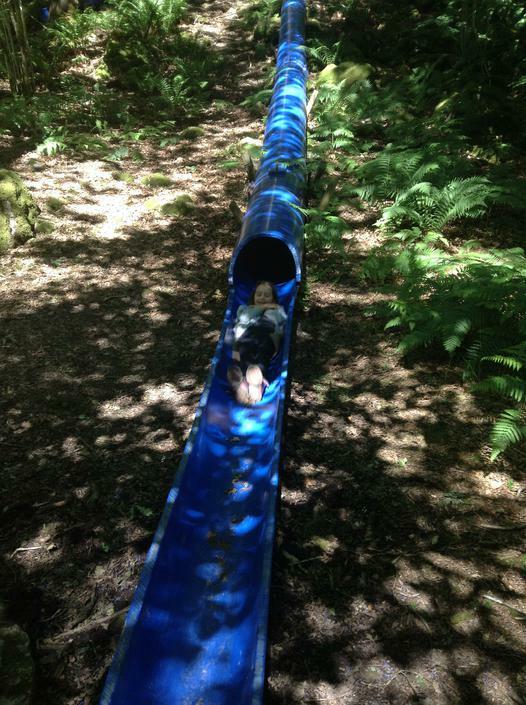 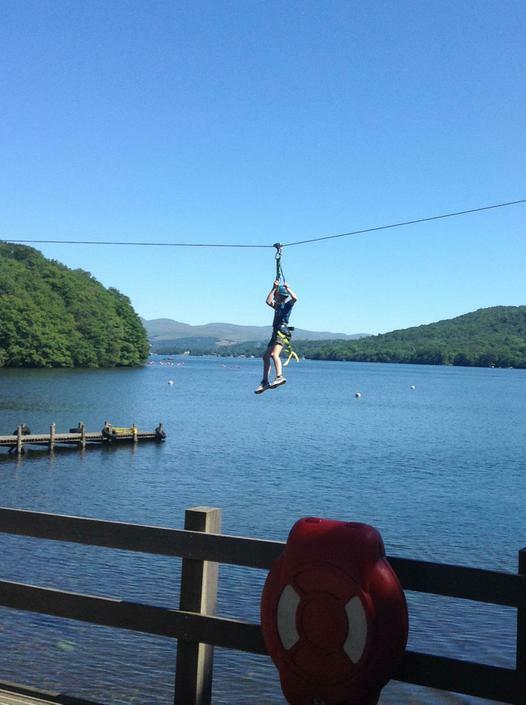 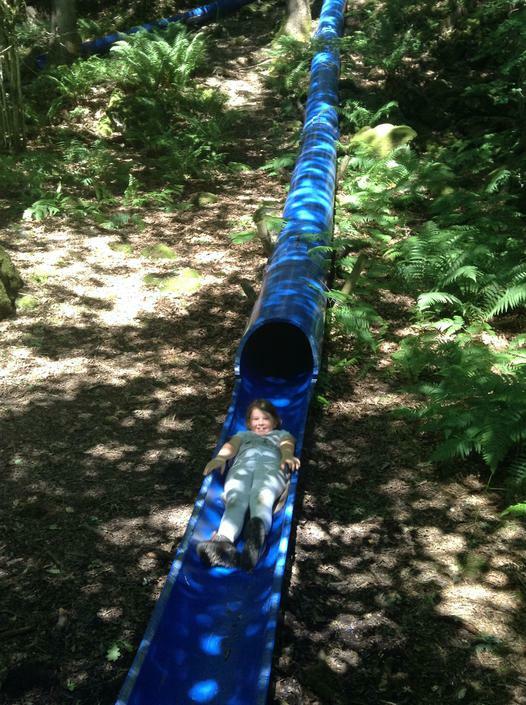 Most of us whizzed excitedly over the lake on the zipline, and climbing and sliding through the Blue Tubes was lots of fun too! 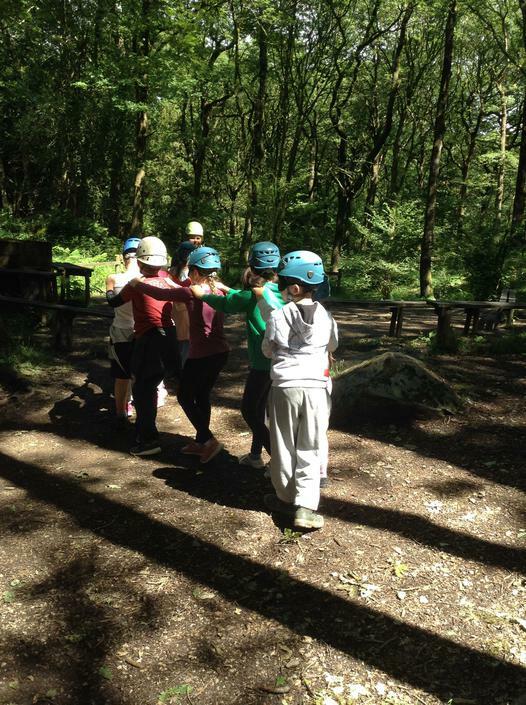 We had such a great time full of friendship, laughter and excitement, we didn't really want our residential to end. 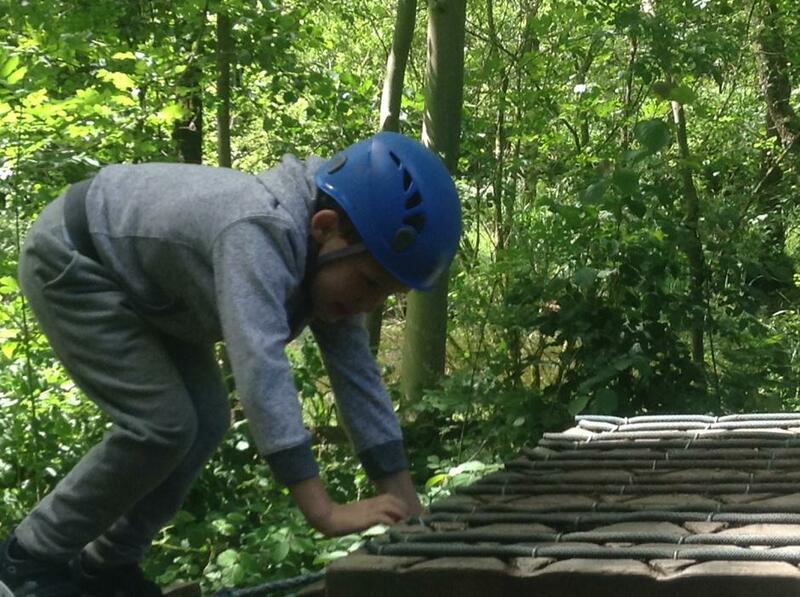 Mrs Oldham, Mrs Johnson and Sue were very proud of us. 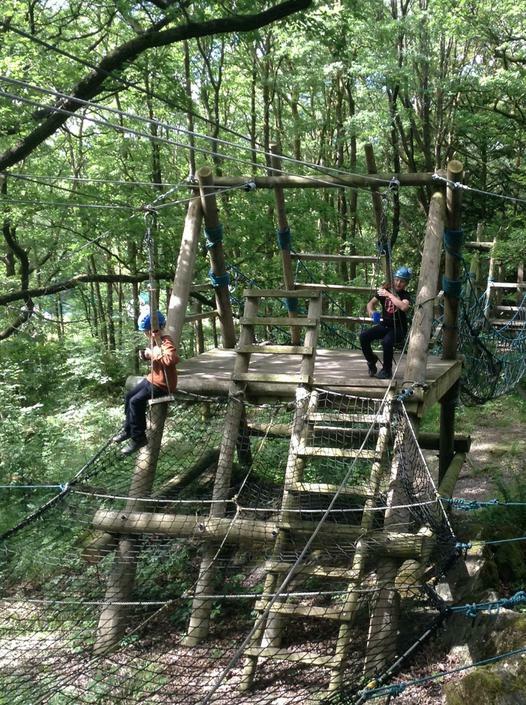 We were polite and well-behaved at all times and our instructors, Fran and Amanda, thought we were fabulous! 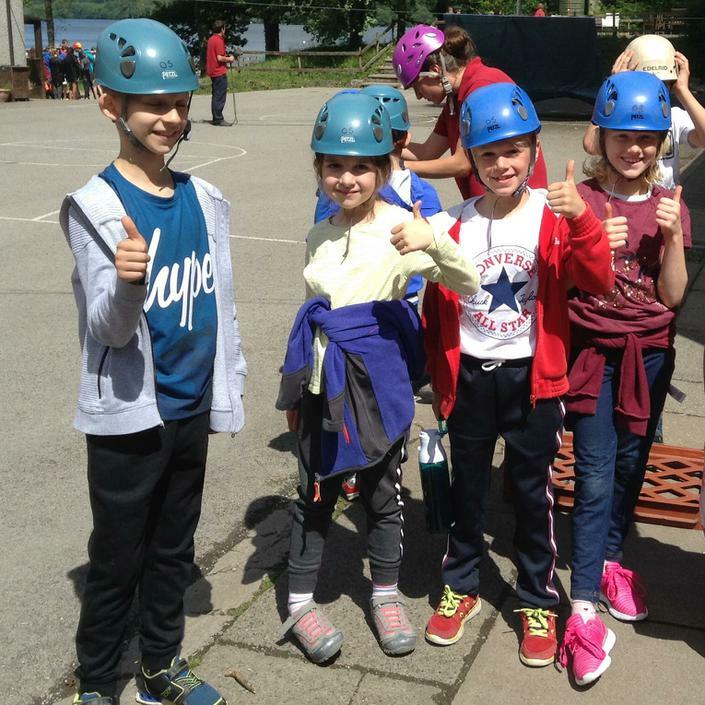 We thought they were great too! 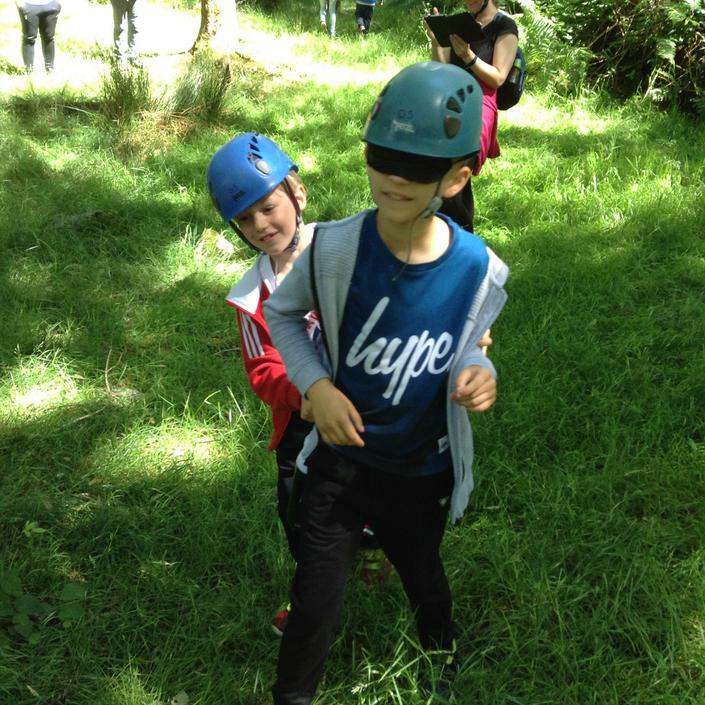 During our time away our teachers took hundreds of photographs, so we hope this selection gives you a little snapshot of our adventure. 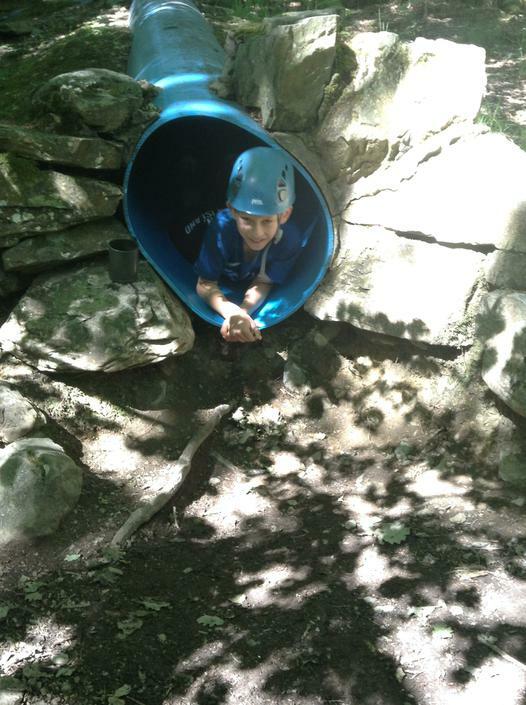 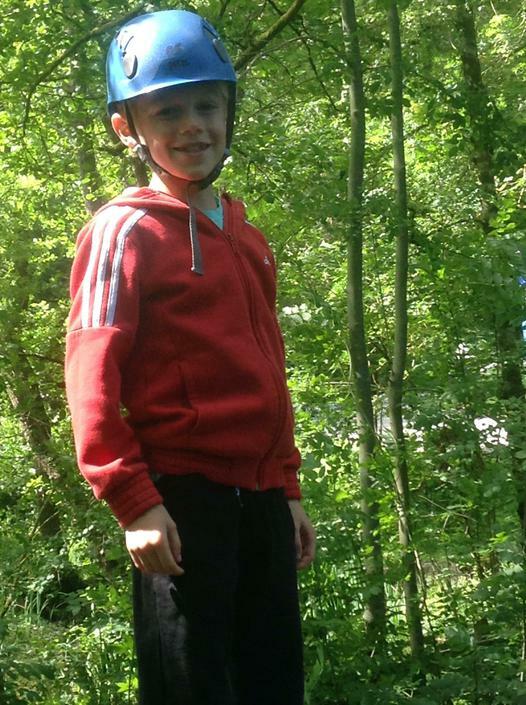 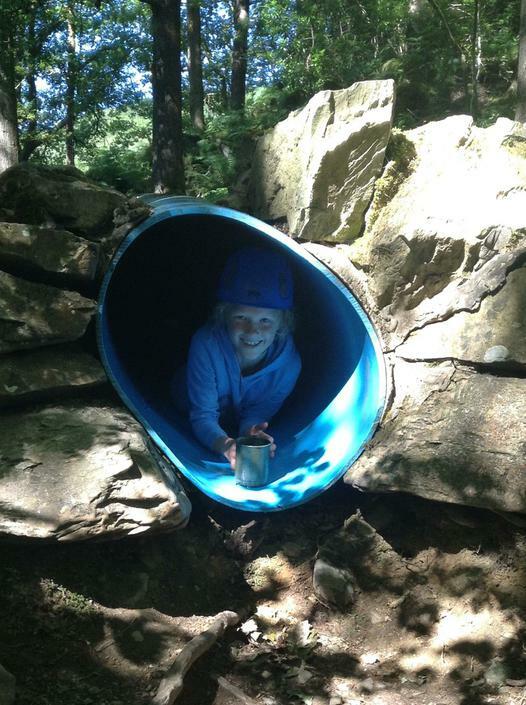 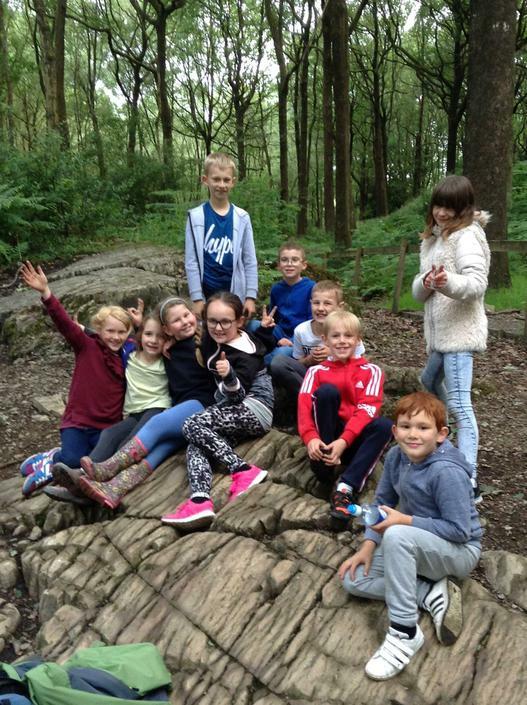 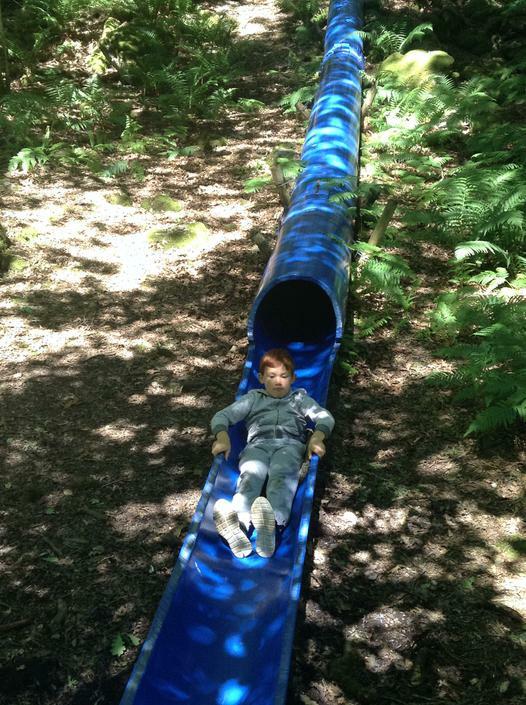 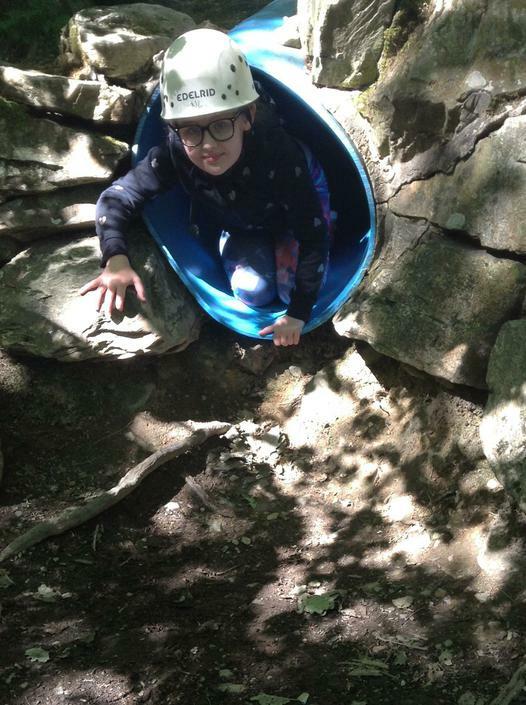 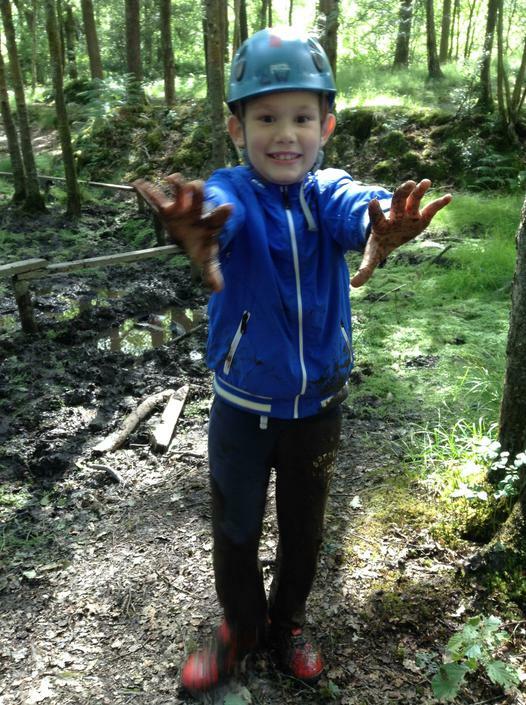 For our Marble Jar treat, we decided to have a fun day out at Fell Foot Park near Newby Bridge. 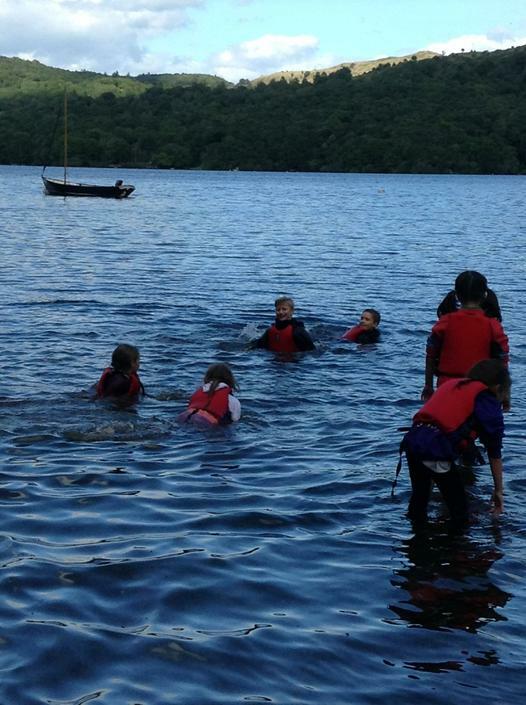 We enjoyed paddling in the lake & spotting fish. 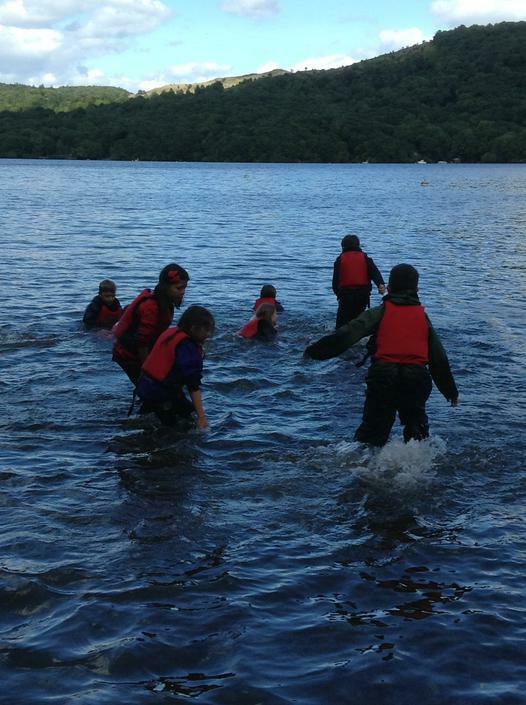 We fed the ducks and were really lucky to see some very cute, fluffy cygnets. 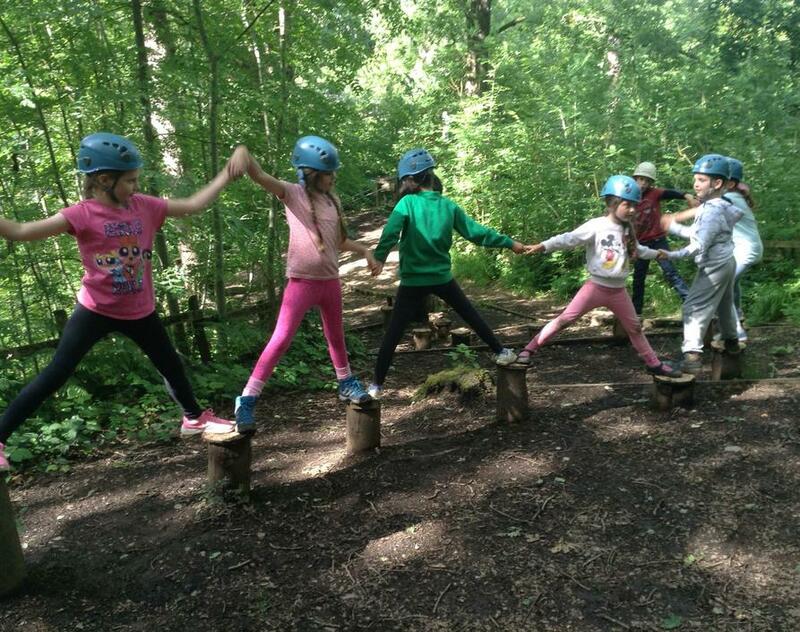 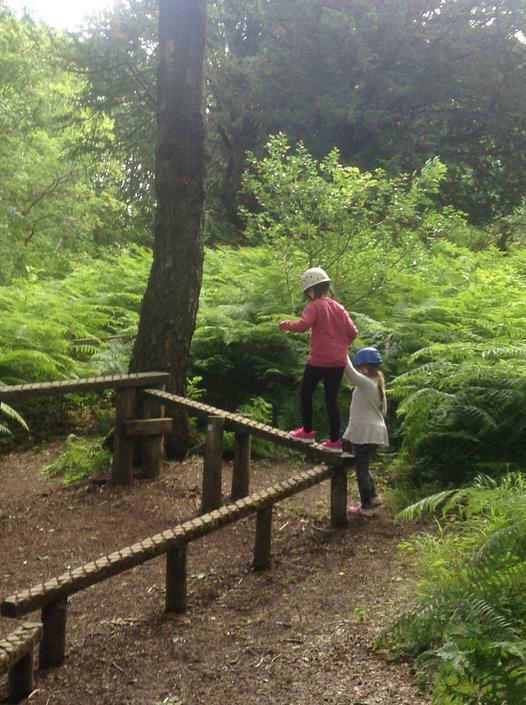 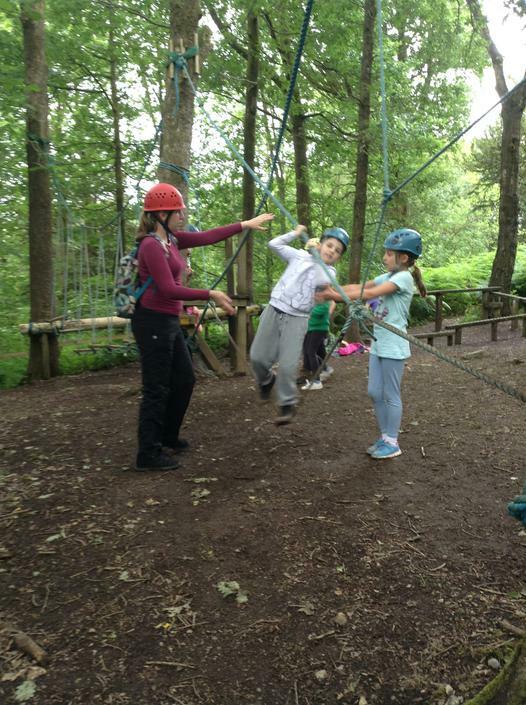 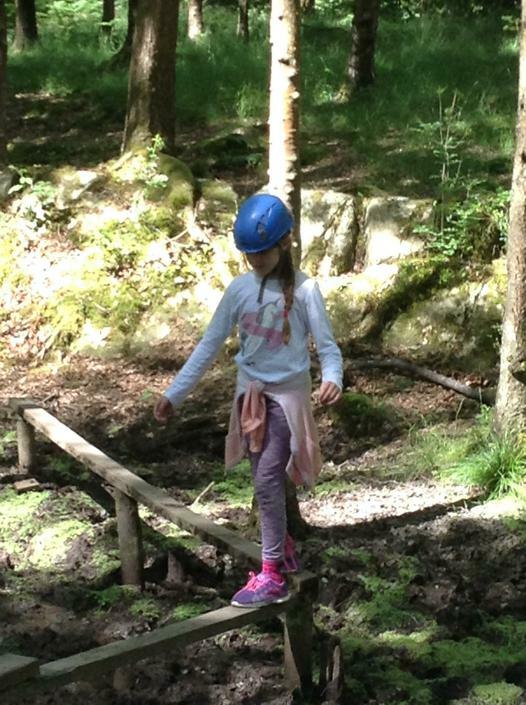 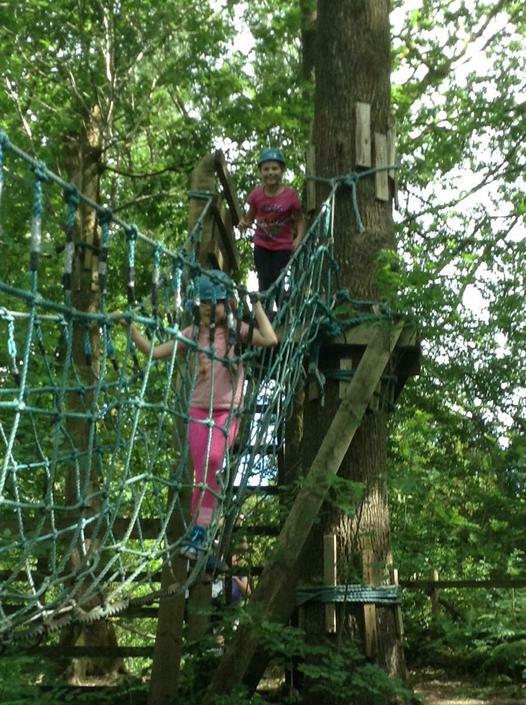 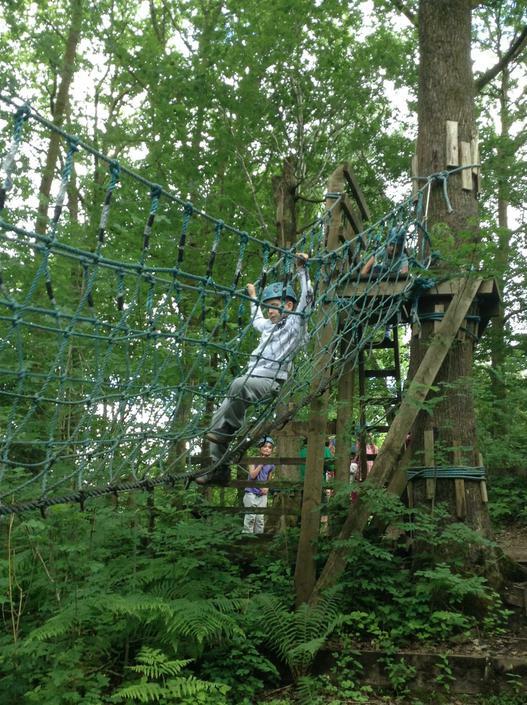 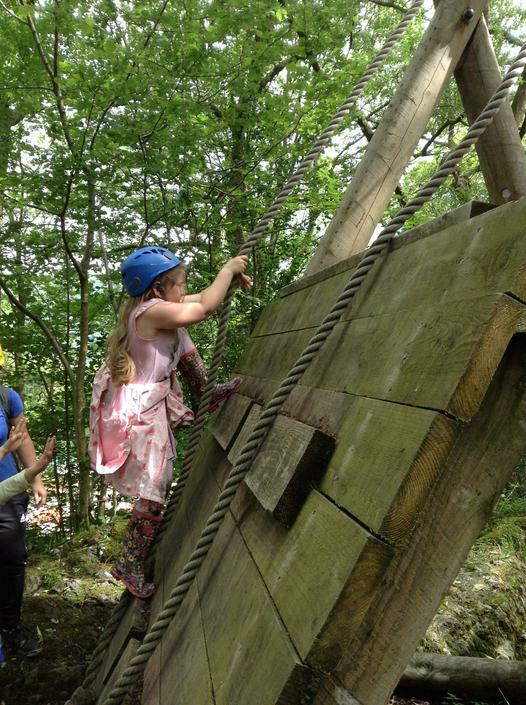 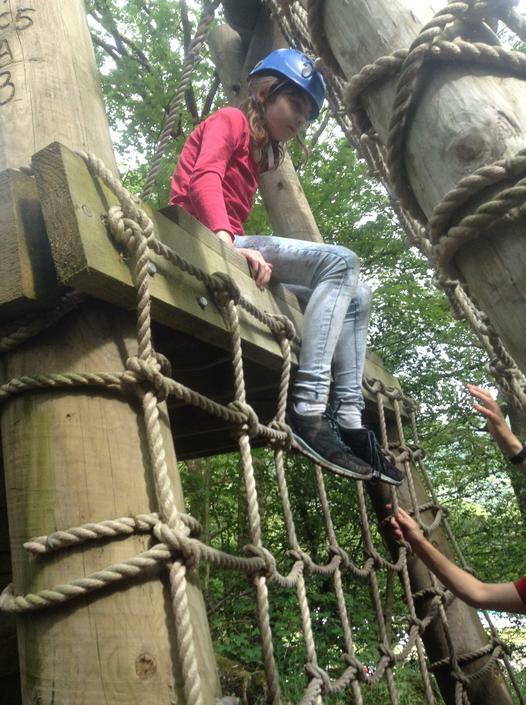 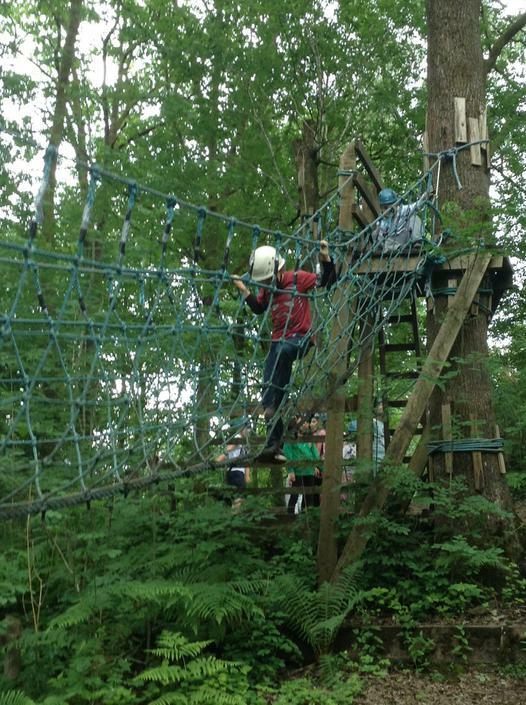 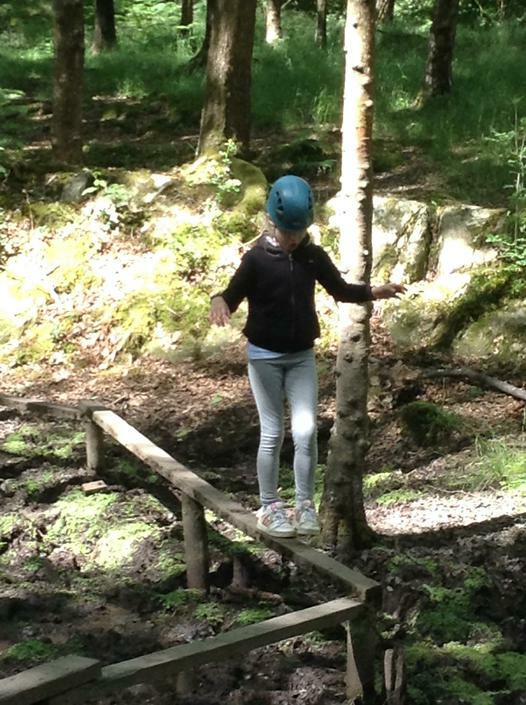 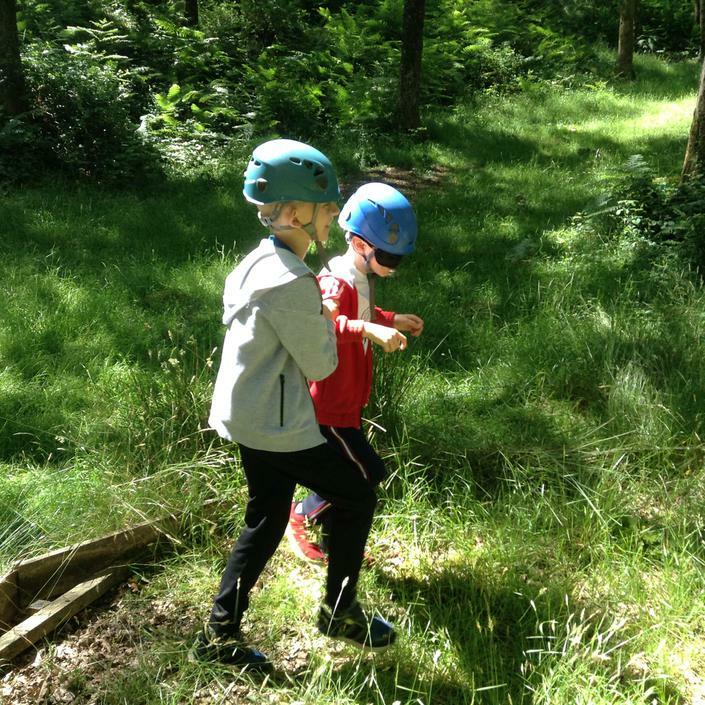 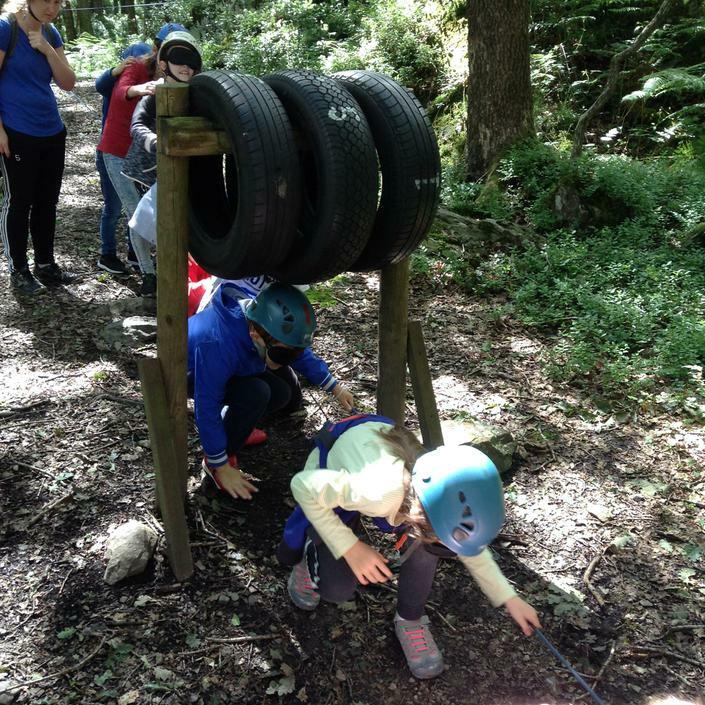 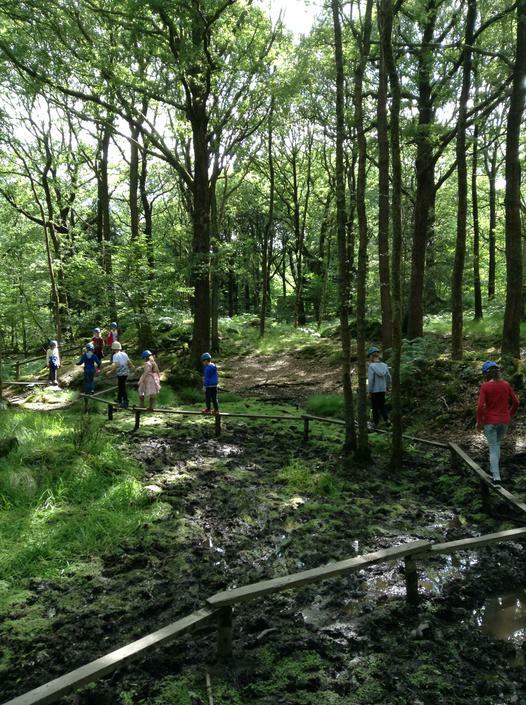 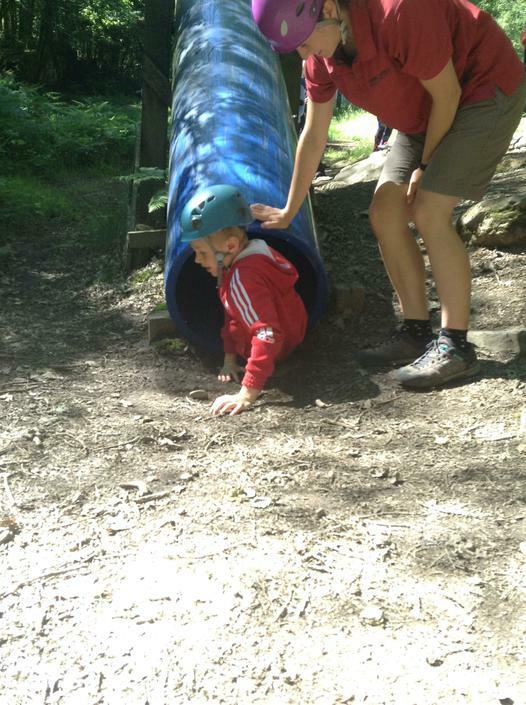 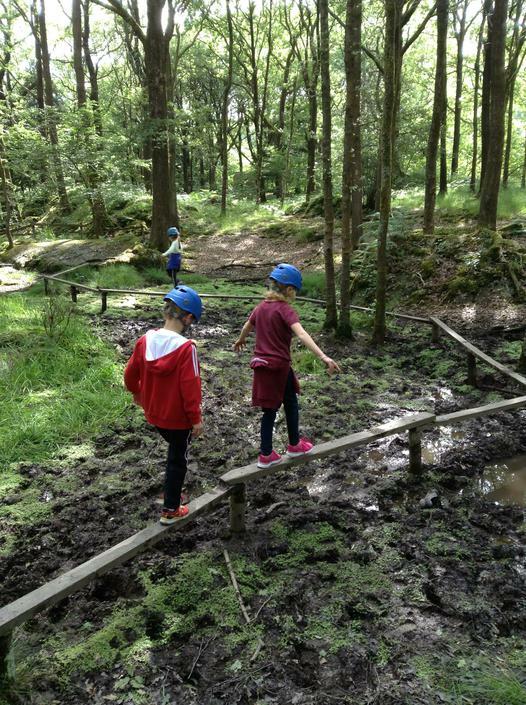 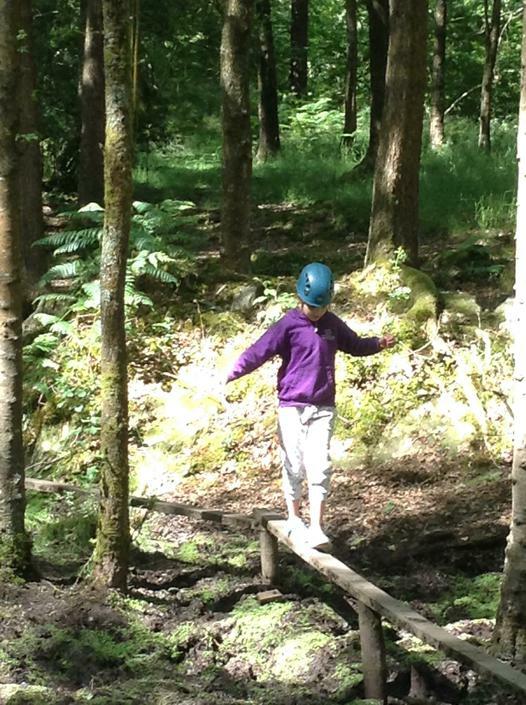 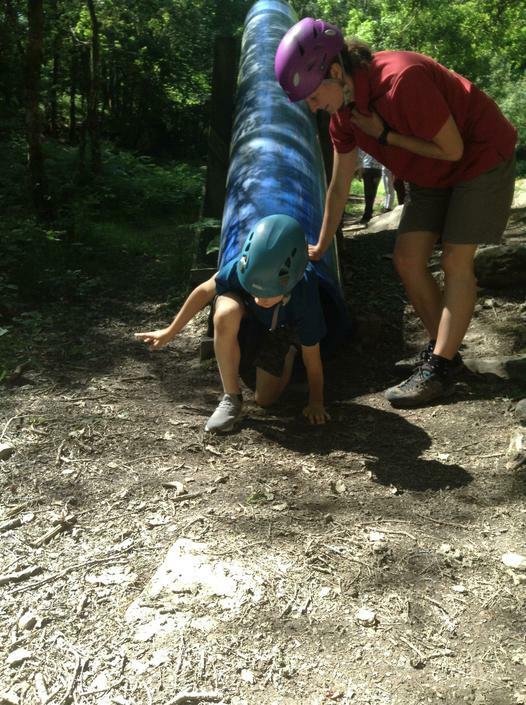 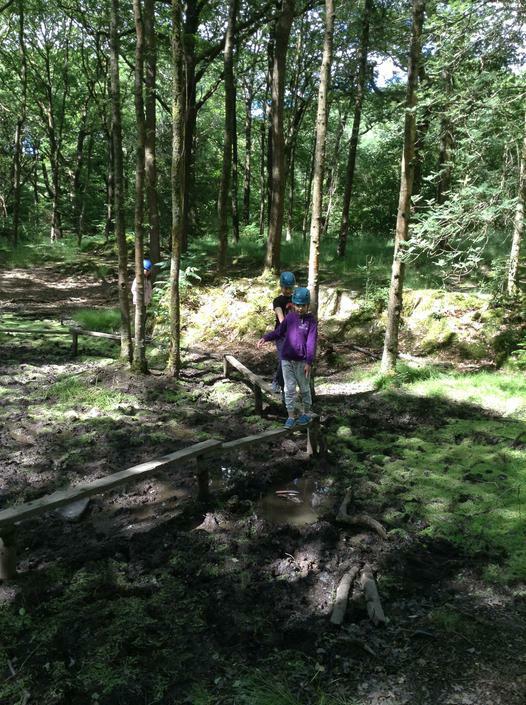 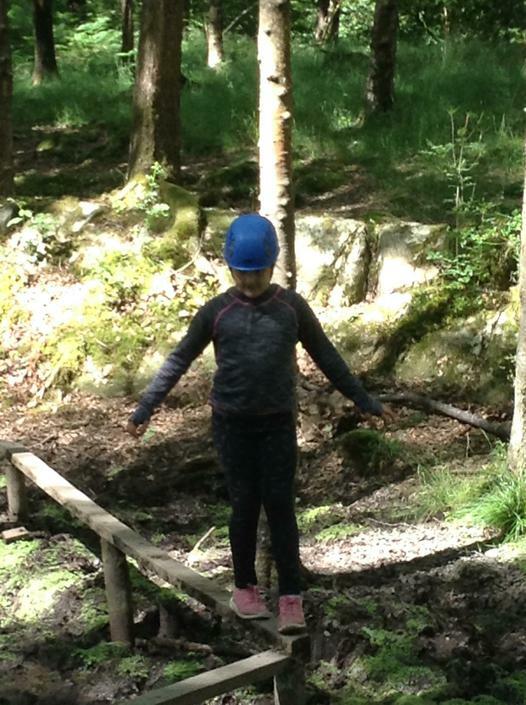 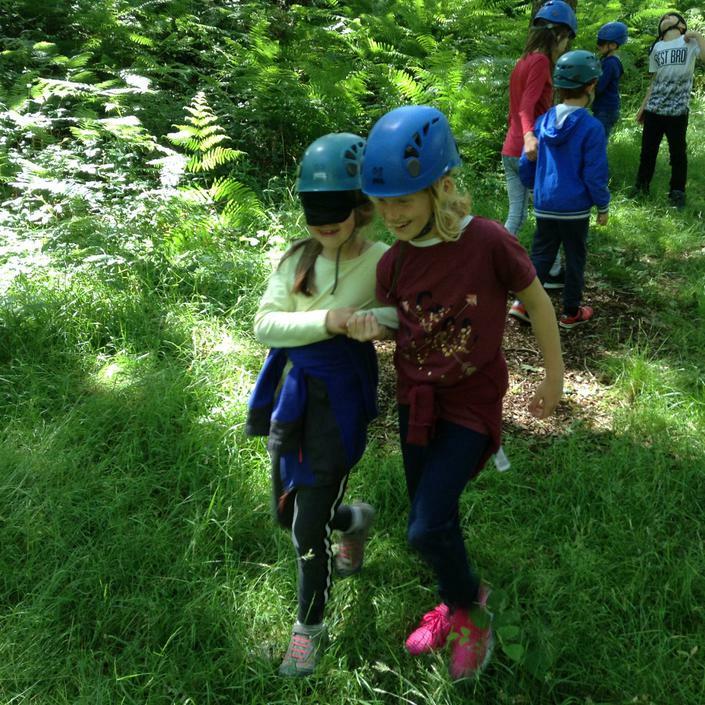 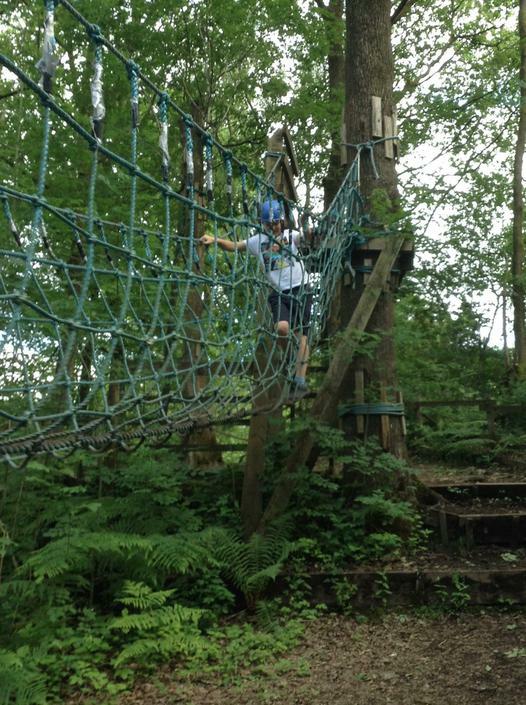 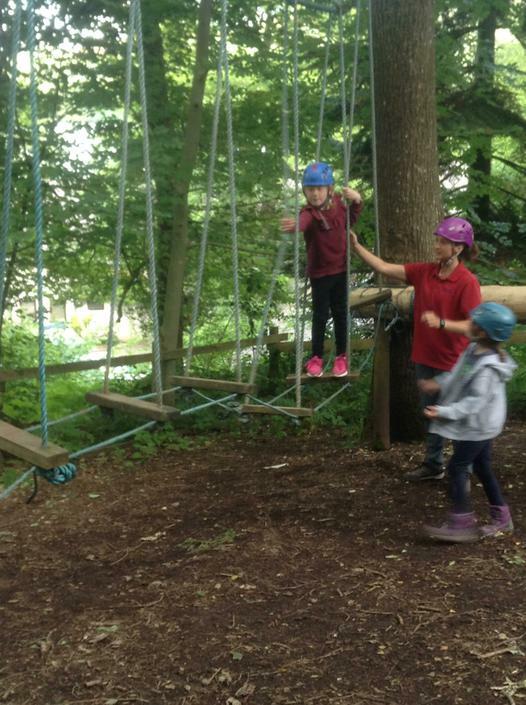 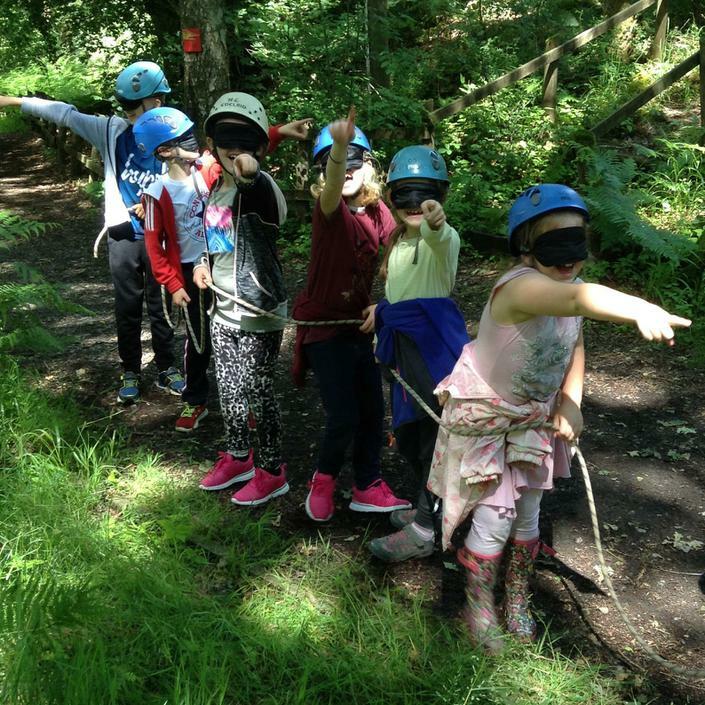 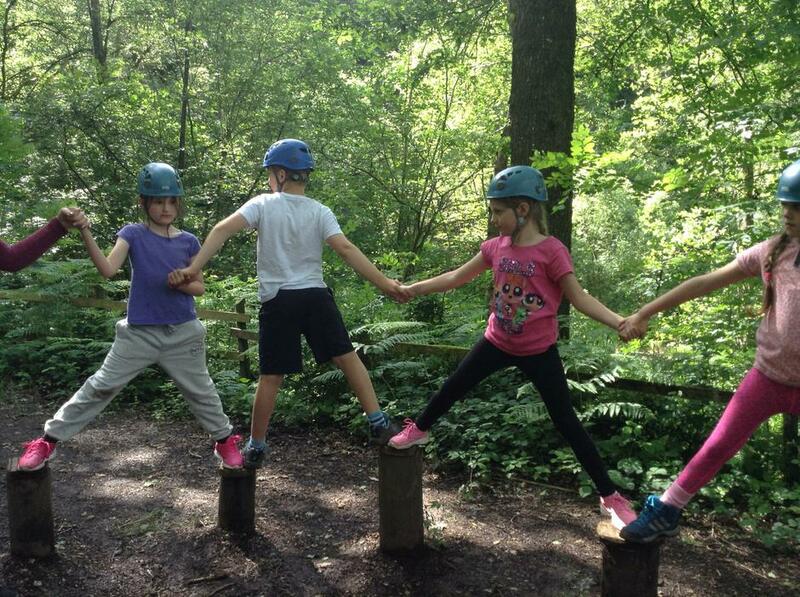 We loved challenging ourselves and each other in the Wild Play Area too, where we had to climb and balance around the obstacle course. 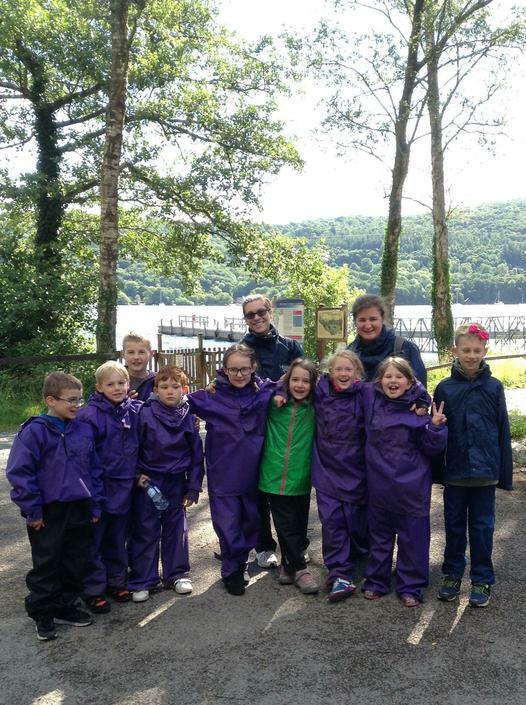 After our picnic, we visited the cafe for a yummy ice-cream! 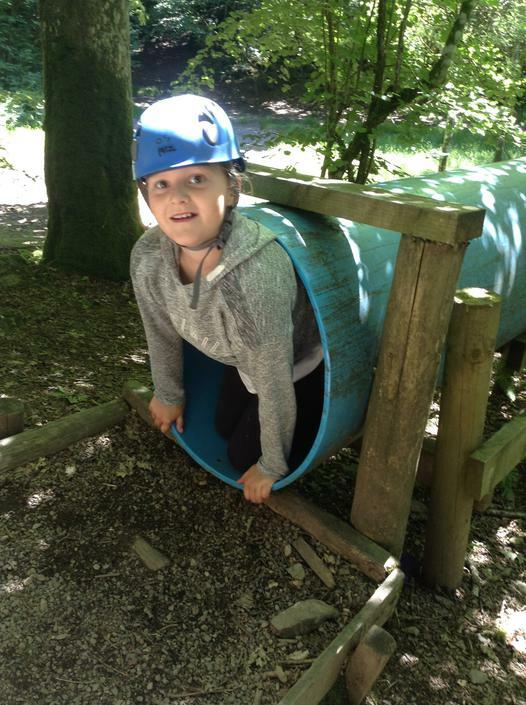 We had a lovely day and have already started planning what to do for our next Marble Jar treat! 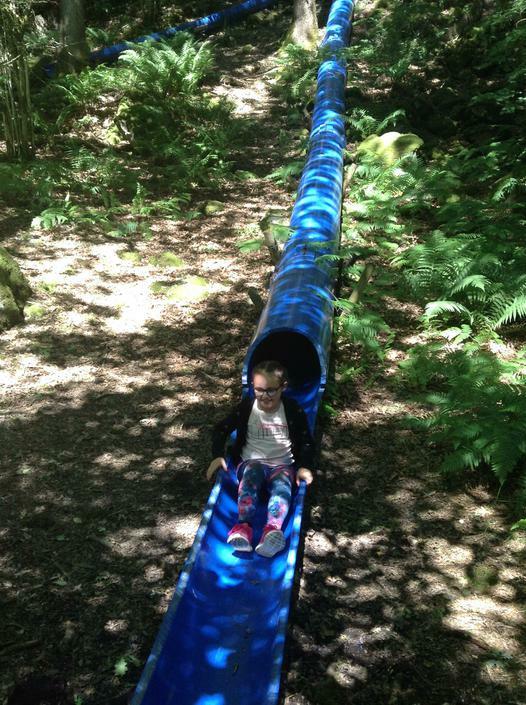 What a fabulous day we had at Housesteads Roman Fort! 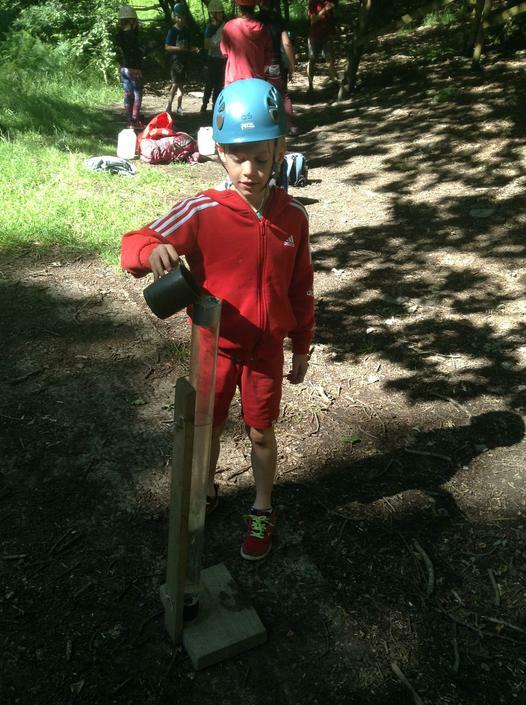 We met Rufus Aelius Victor, a Roman veteran, who trained us as recruits for an auxiliary unit. 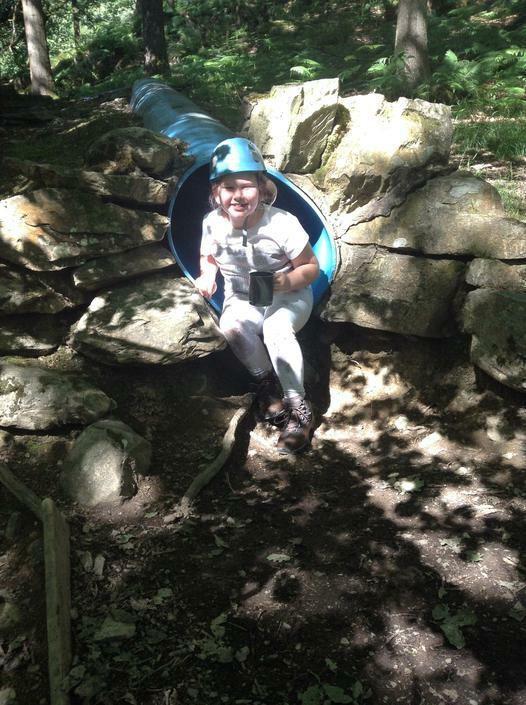 We had lots of fun exploring the fort and walking along Hadrian's Wall too. 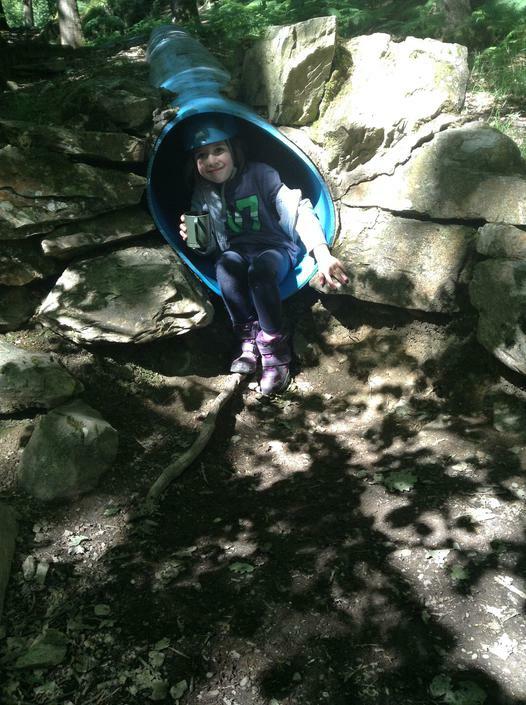 Here's a snapshot of our day at Housesteads.